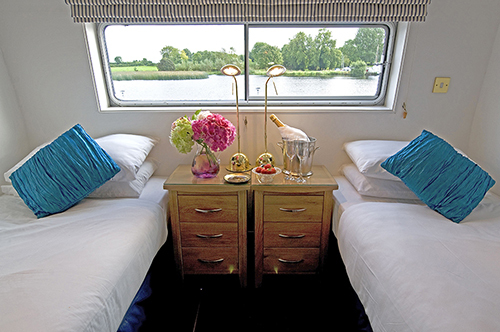 Shannon Princess is a Deluxe category barge. 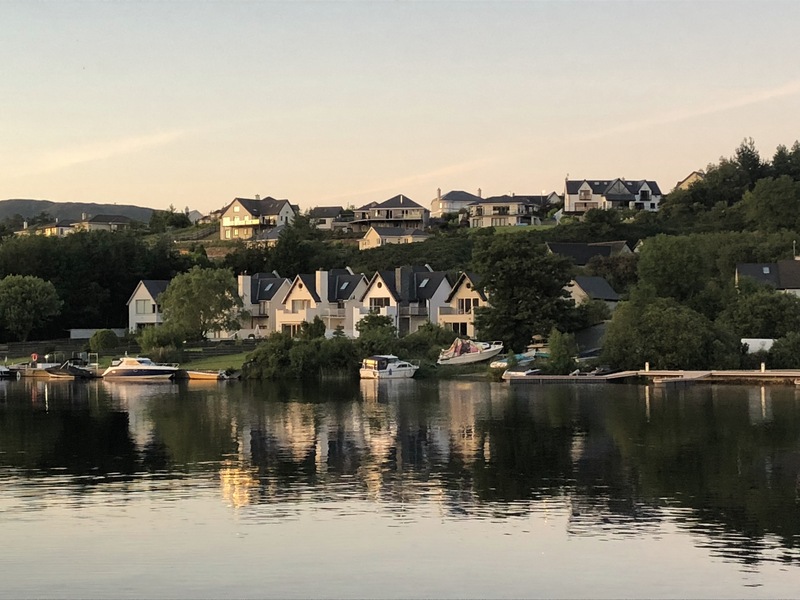 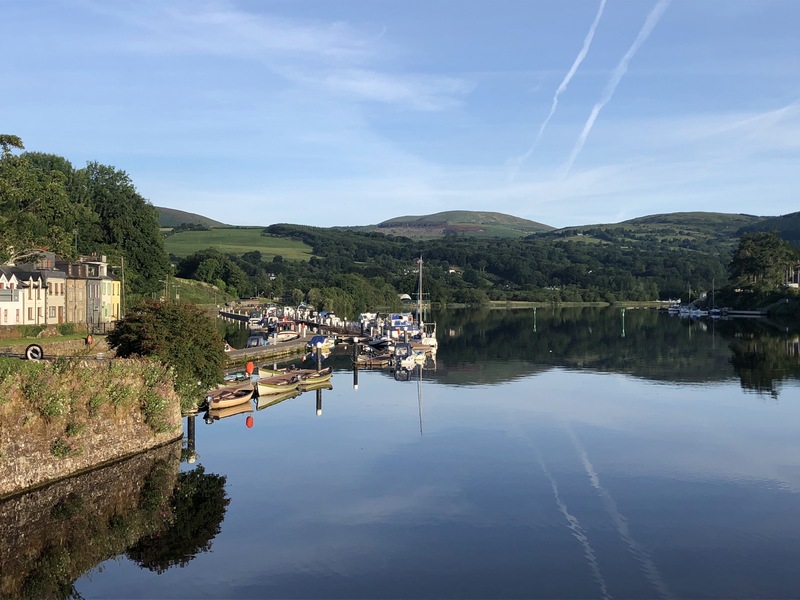 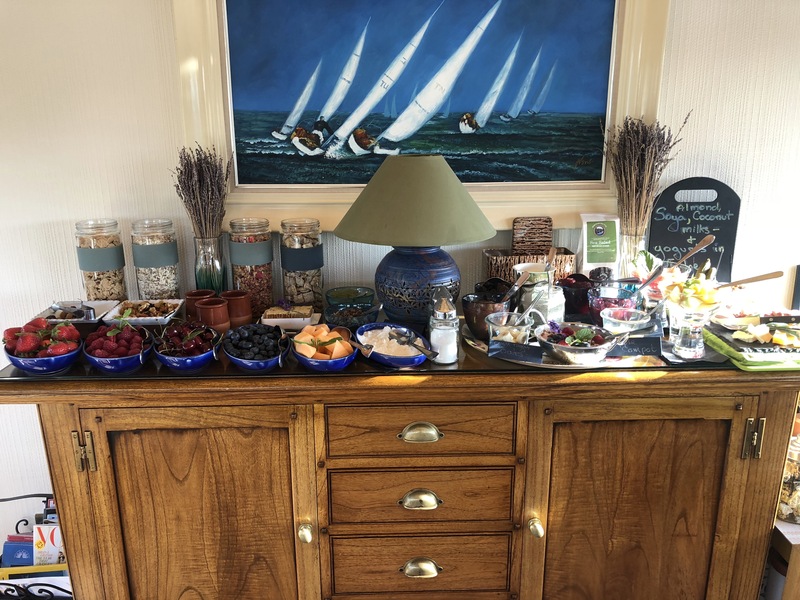 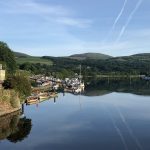 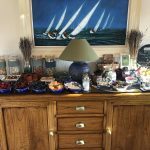 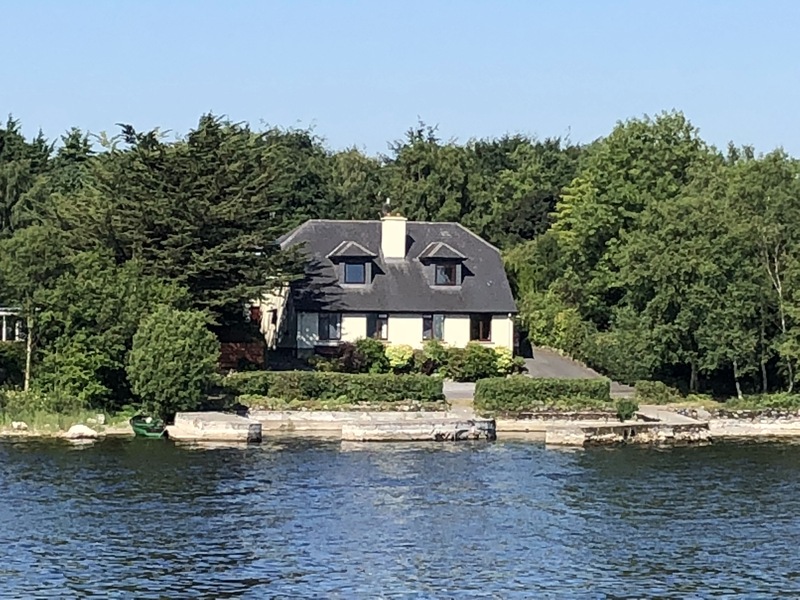 Shannon Princess is perfect for: Couples, Families, Groups of friends, Exceptional historic interest, Beautiful scenery, Irish Culture and Folklore. 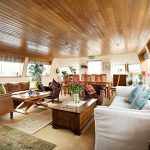 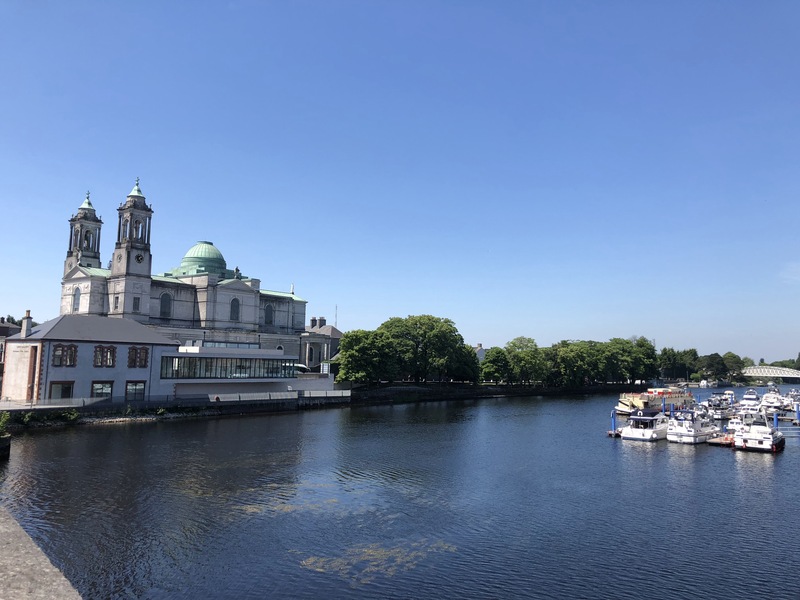 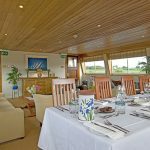 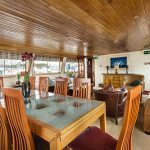 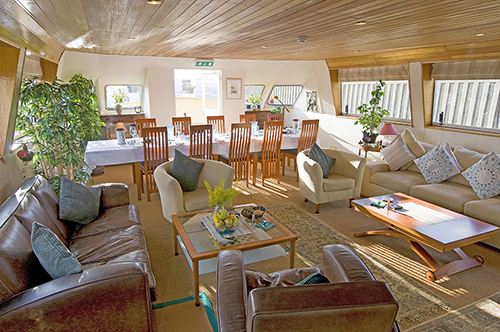 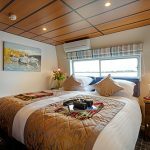 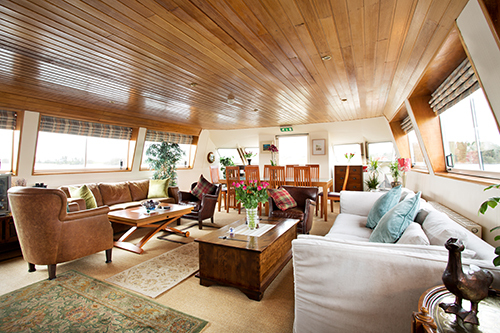 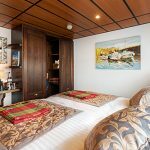 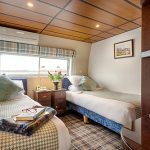 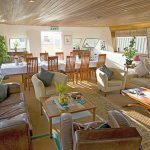 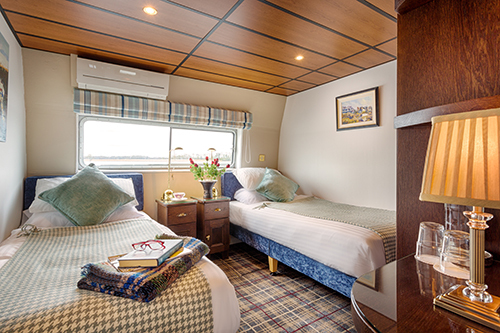 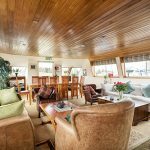 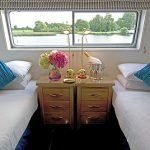 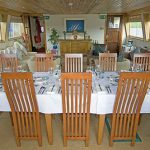 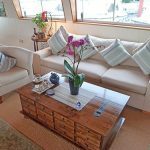 The ten passenger Shannon Princess II is the only luxury hotel barge cruising the waterways of Ireland, and cruises begin and end in Dublin, so you can add a stay in the capital to make the ideal Irish holiday. 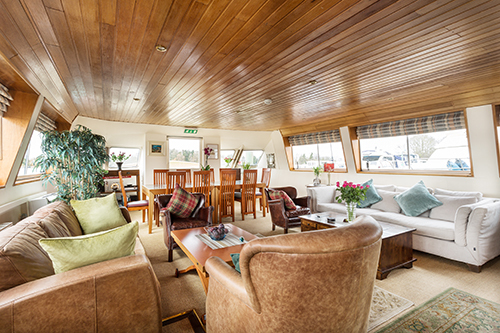 Her beautifully designed interiors have panoramic windows, through which you can view the passing scenery, and includes a comfortable saloon, dining area and bar. 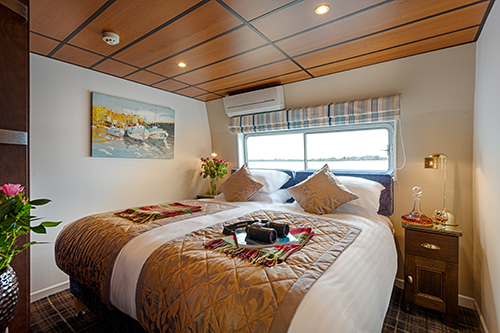 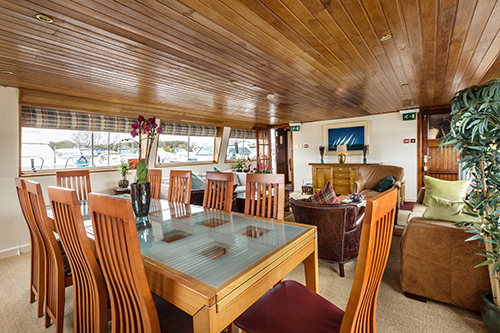 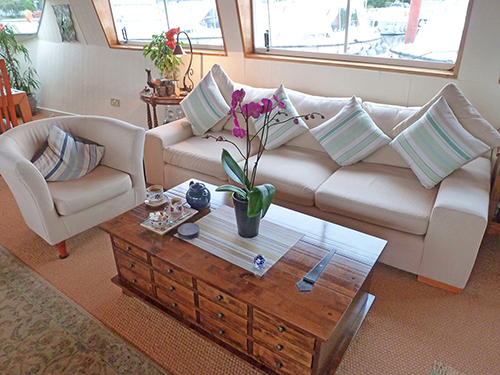 The Shannon Princess II also features a full length, roof top sun deck which is a wonderful spot for relaxing and watching the stunning scenery go by as you cruise, or reclining with a pre-dinner drink in the evening. 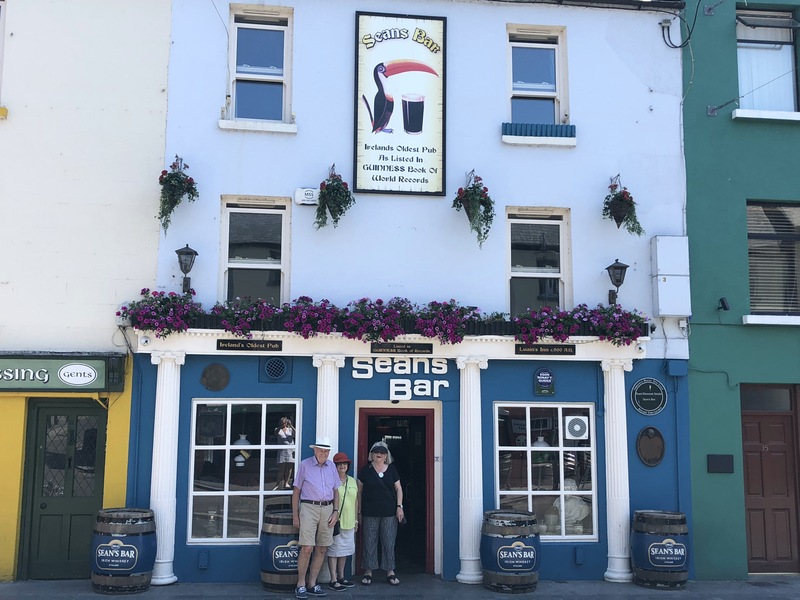 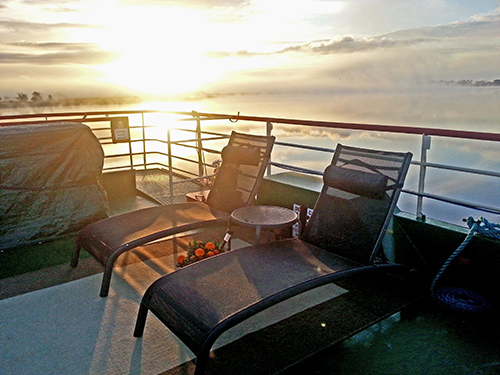 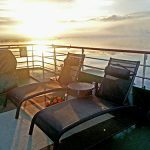 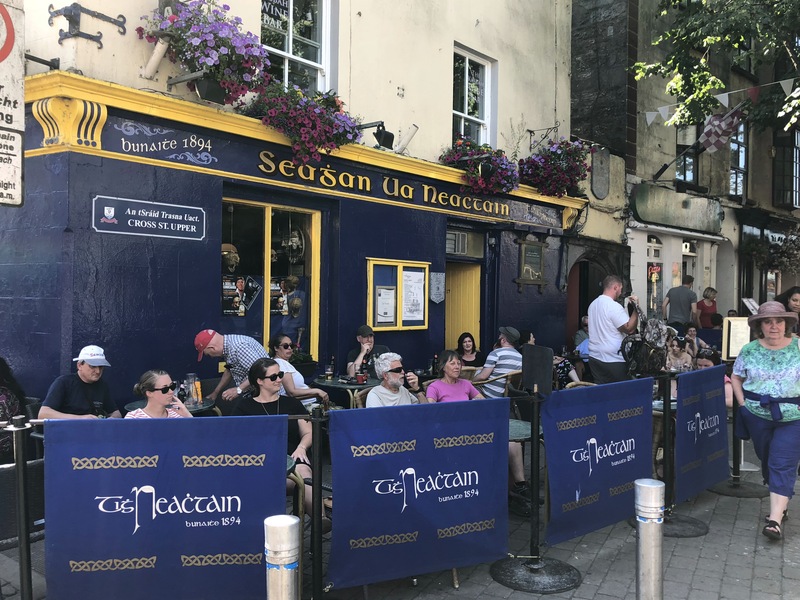 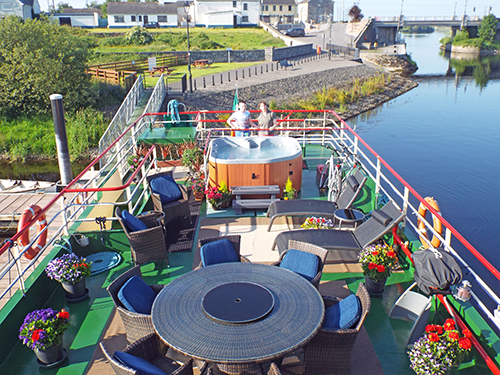 Highlights of the cruise include [reputedly] haunted Leap Castle, the ruins of 6th century Clonmacnoise Monastery, the exciting city of Galway Birr Castle with its stunning landscaped gardens and an Iron Age settlement recreation, as well as lively Irish pubs and excellent local crafts. 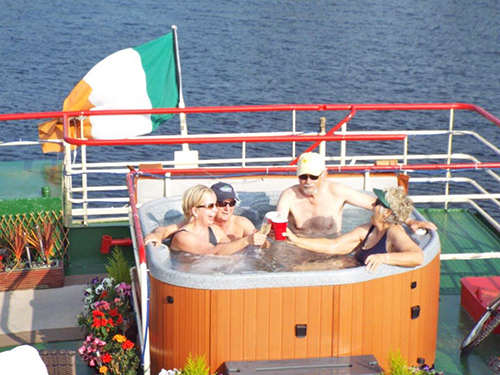 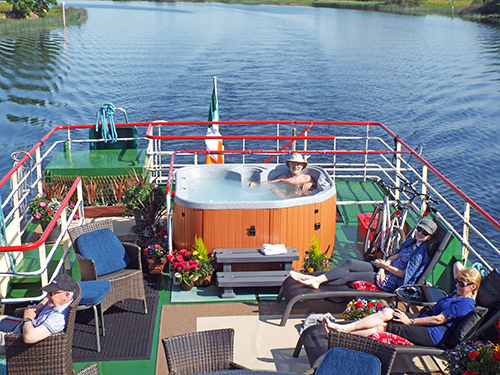 Your fabulous Irish crew go out of their way to ensure your every need is accommodated. 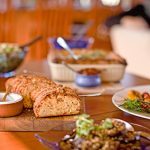 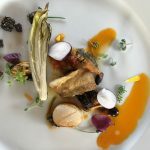 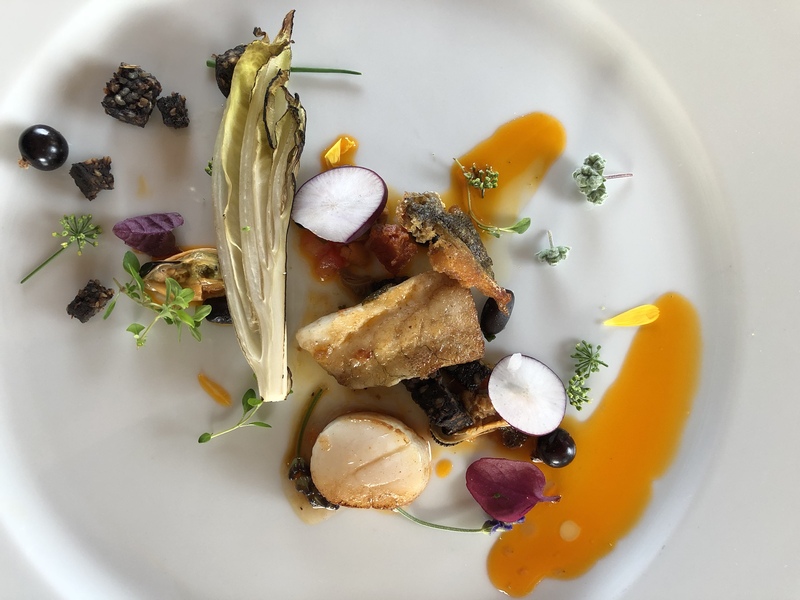 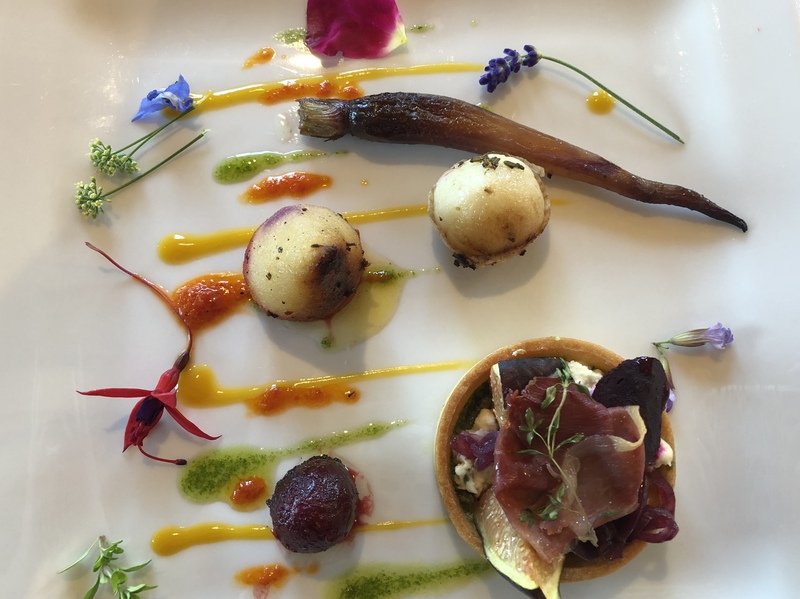 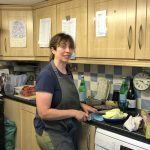 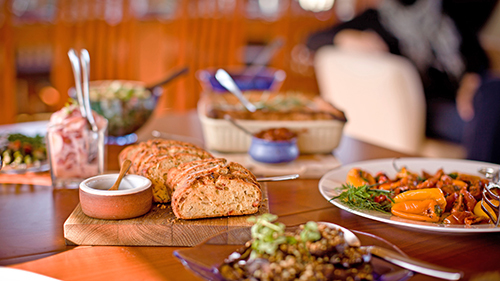 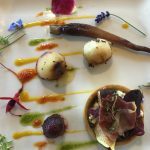 Your chef was trained at the Ballymaloe School and distinguishes herself at every meal with her signature dishes (and is well known as an excellent baker! 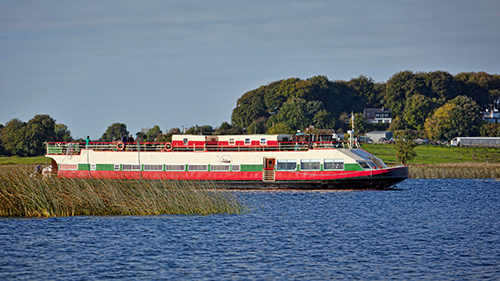 ), and your captain has piloted and managed the Shannon Princess II for many years. 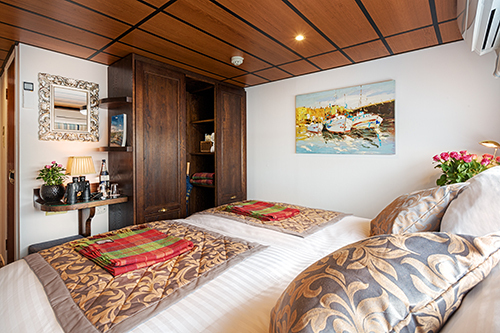 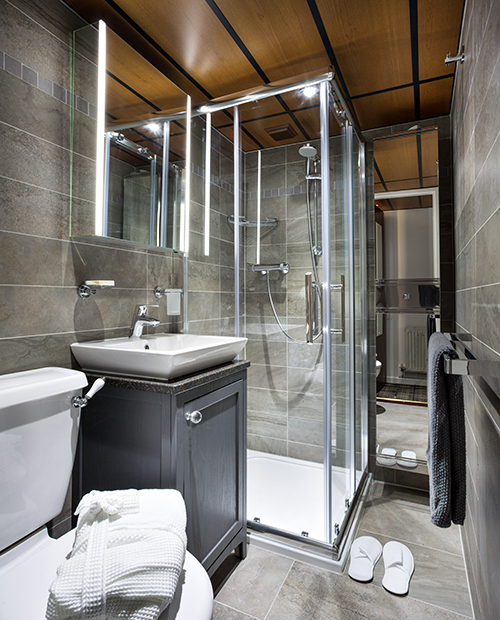 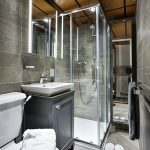 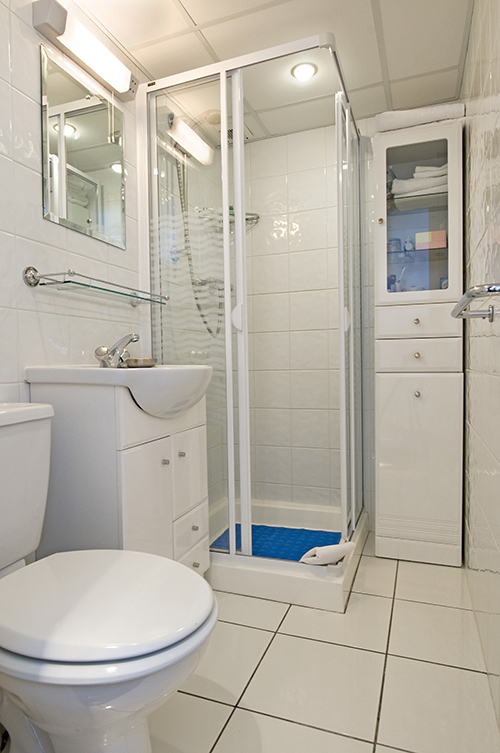 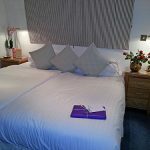 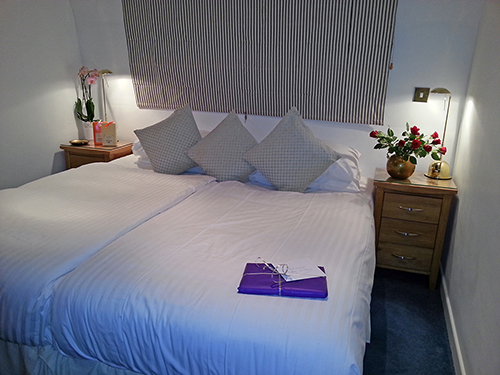 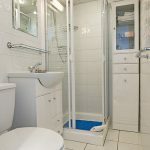 5 SUITES OF 125 SQ FEET – ALL WITH PICTURES WINDOWS, EN-SUITE BATHROOMS & QUEEN SIZE OR TWIN BEDS. 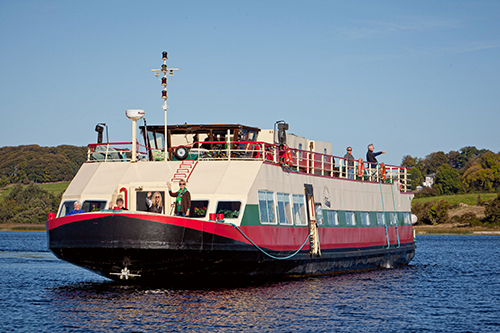 Guests are met in Dublin and transferred by private chauffeured minibus to Shannon Princess. 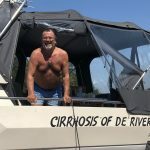 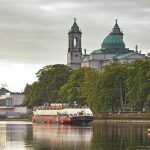 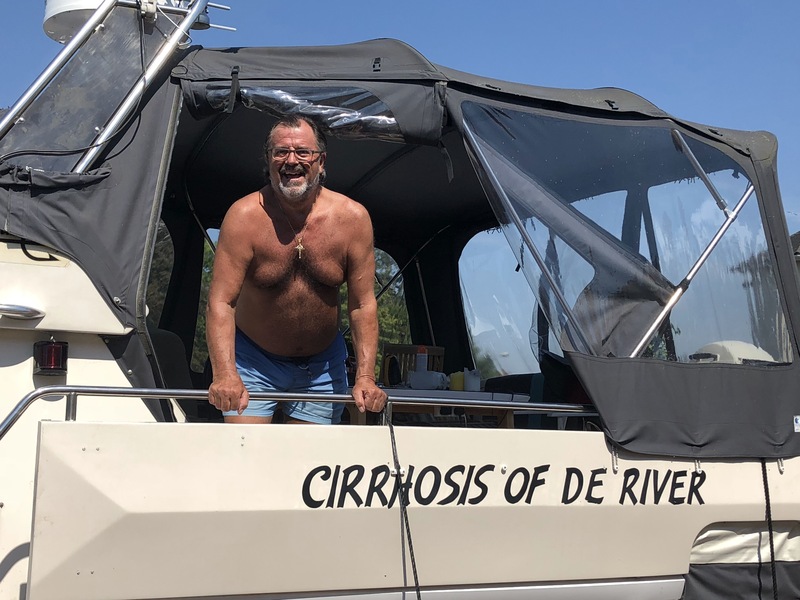 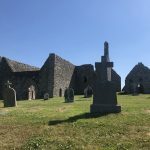 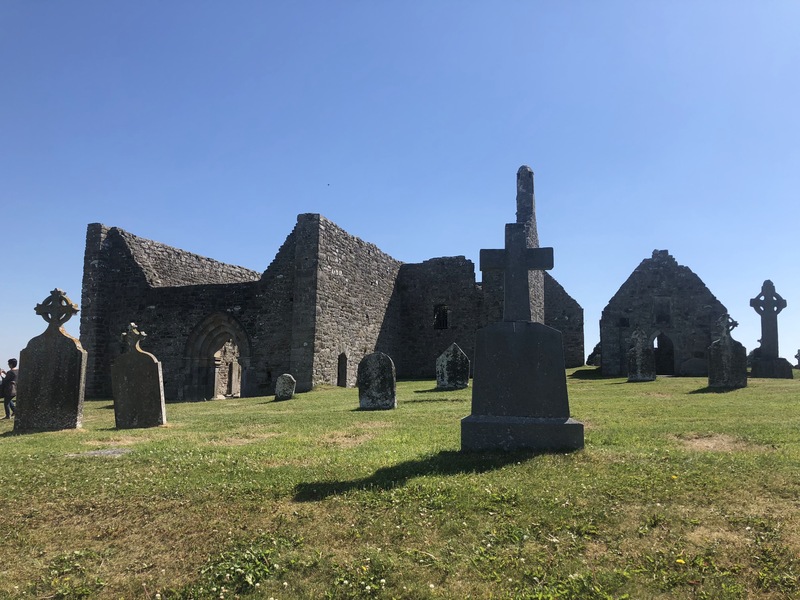 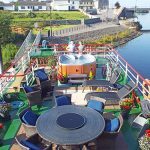 Your Captain and his crew welcome you on board with champagne, Black Velvets or Irish coffees, then time for a stroll and perhaps a visit to St. Flannan’s Cathedral. 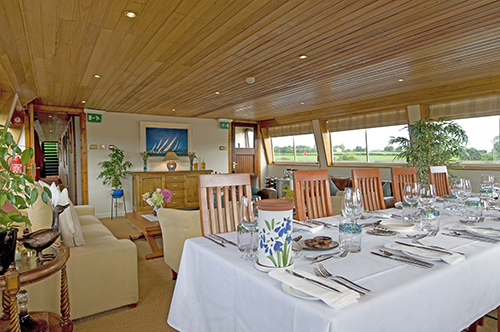 Dinner on board. 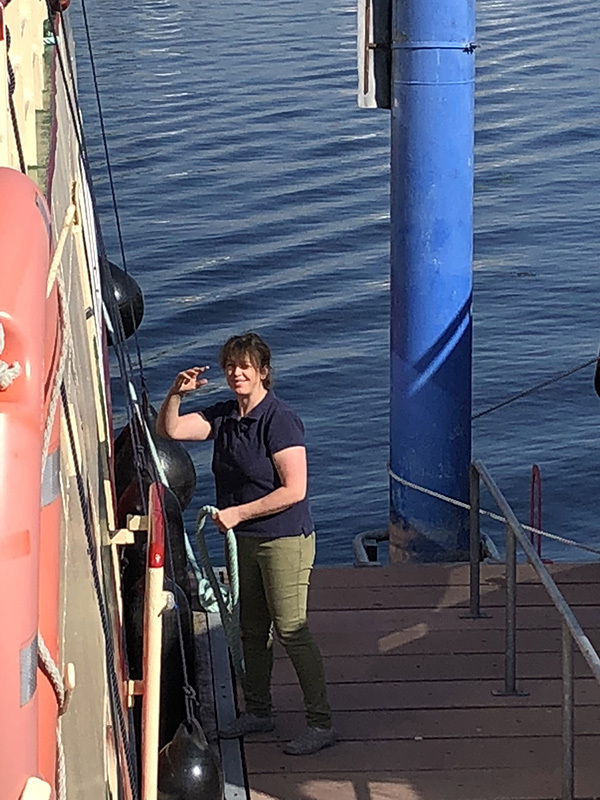 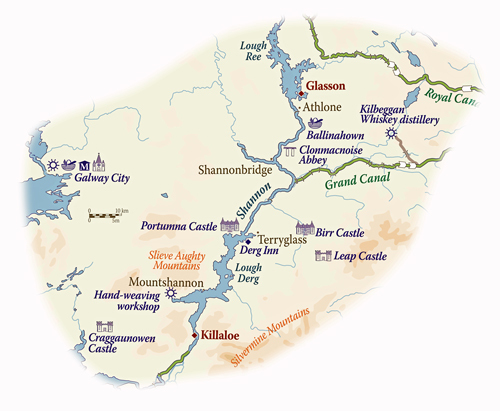 Today we begin our cruise, moving through from the fjord-like reaches of the River Shannon into lovely Lough Derg and on to our mooring at Mountshannon. 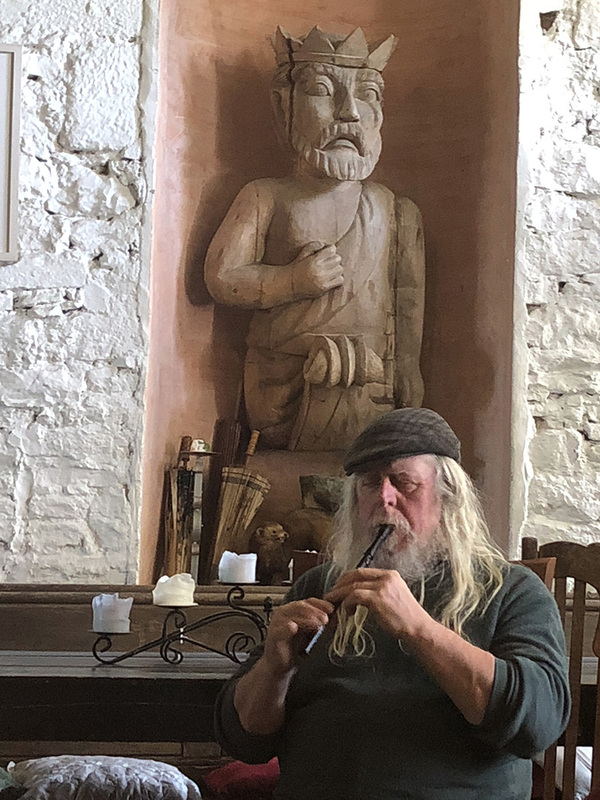 After lunch on board, we set off on our excursion to a unique project set in the grounds of Craggaunowen Castle, designed to bring Bronze Age & Celtic culture to life. 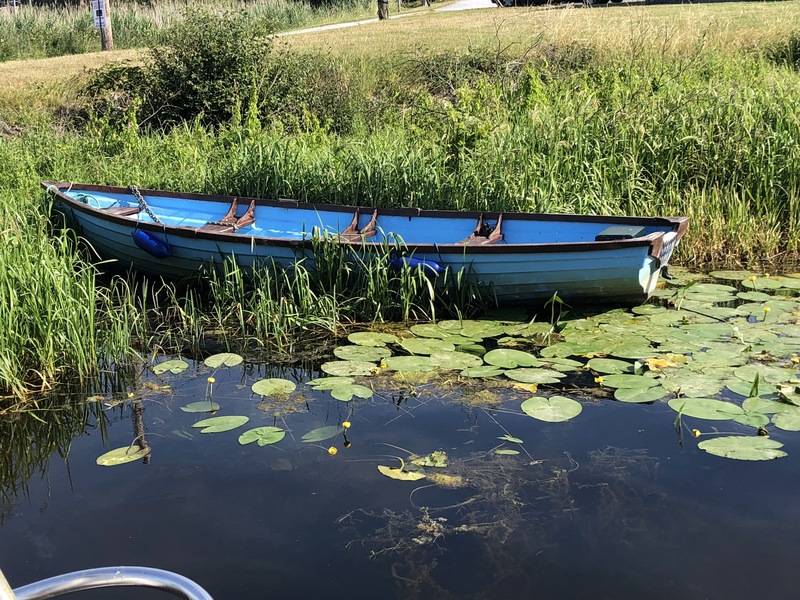 Also on display is a reconstructed hide boat used by Irish Monks to sail to North America in the 5th century. 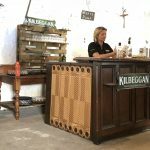 Later, we visit a traditional Irish hand-weavers workshop and studio, where guests will experience a step back in time, whilst also learning how these thriving small cottage industries are dealing with technology and the future. 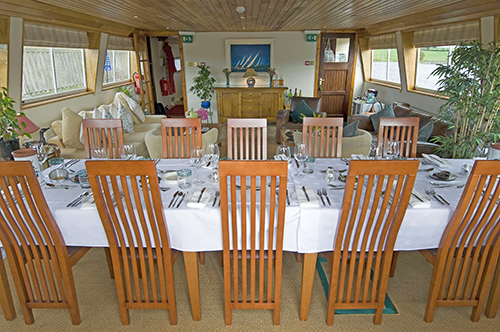 Dinner on board. 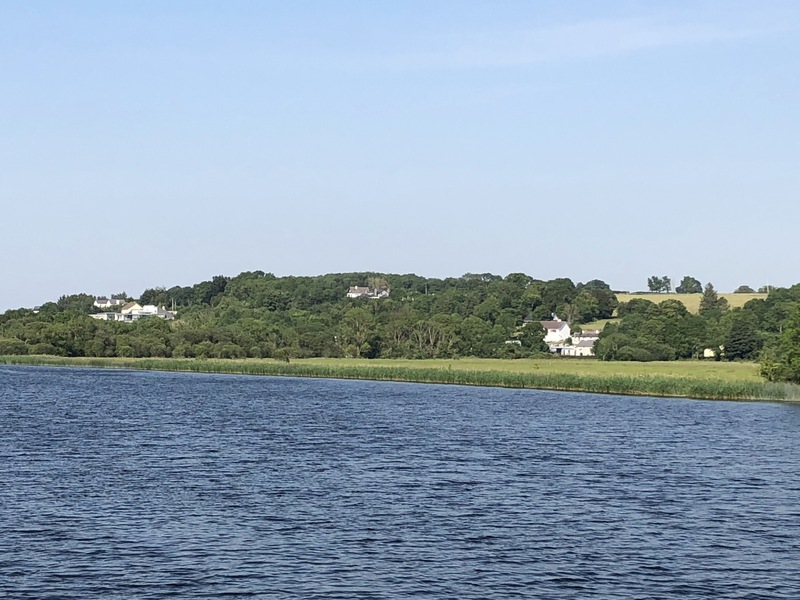 This morning, during a leisurely cruise across beautiful Lough Derg with its ever-changing backdrop, we pass the island of Illamore to moor in the harbour of Terryglass, a picturesque, waterside village. 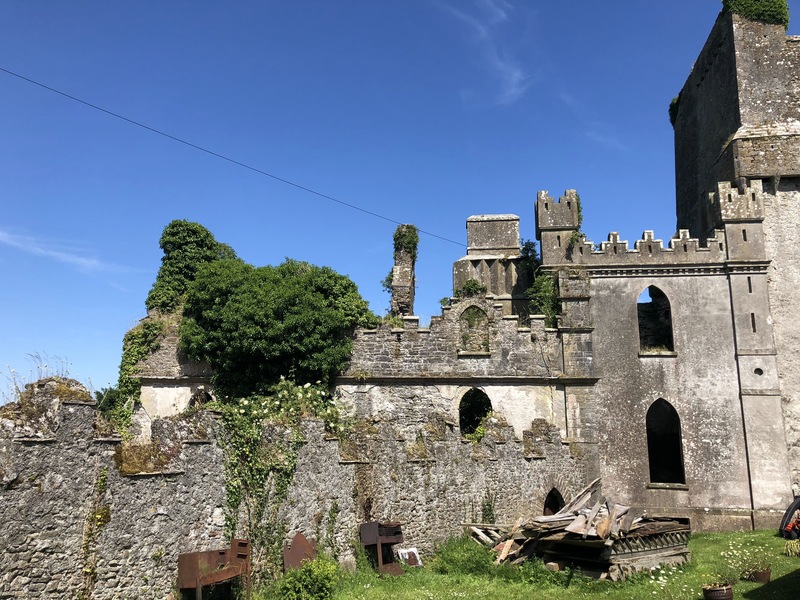 After lunch we visit Leap Castle, reputed to be Ireland’s most haunted house. 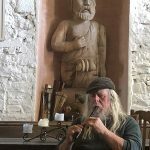 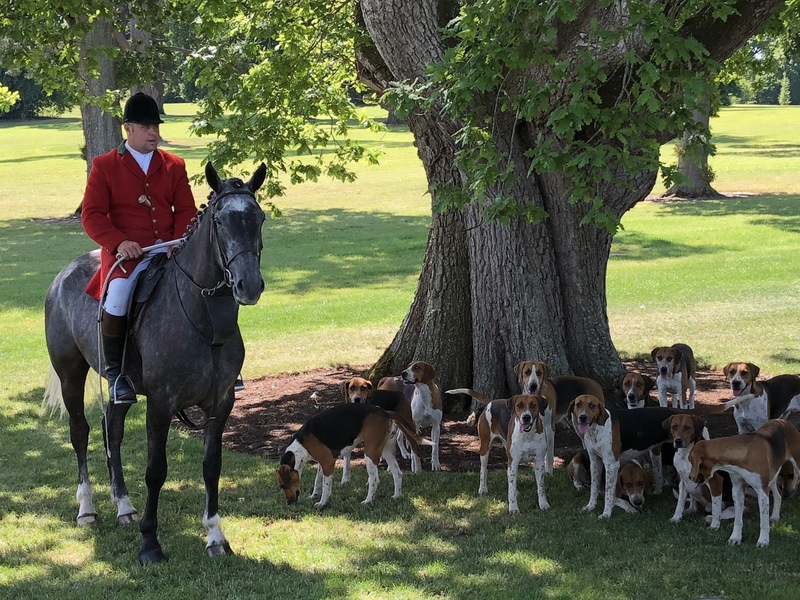 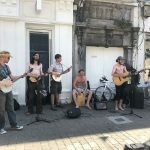 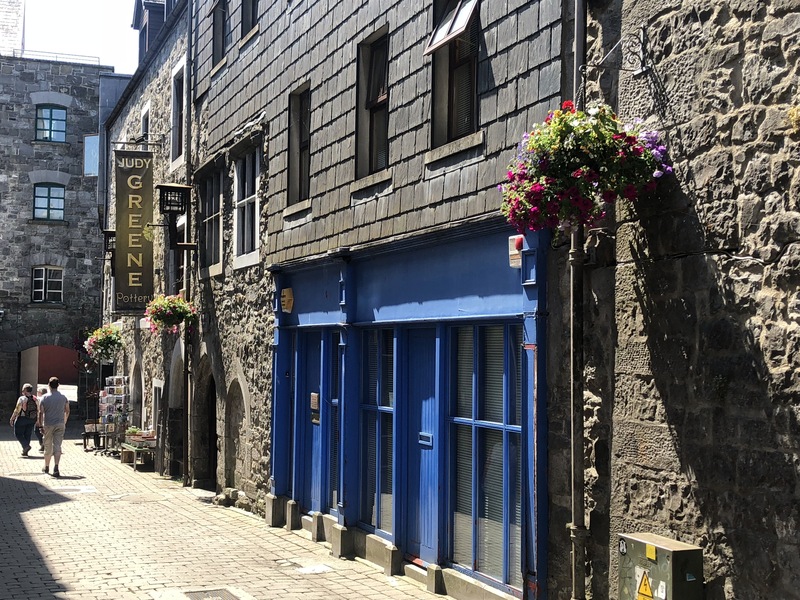 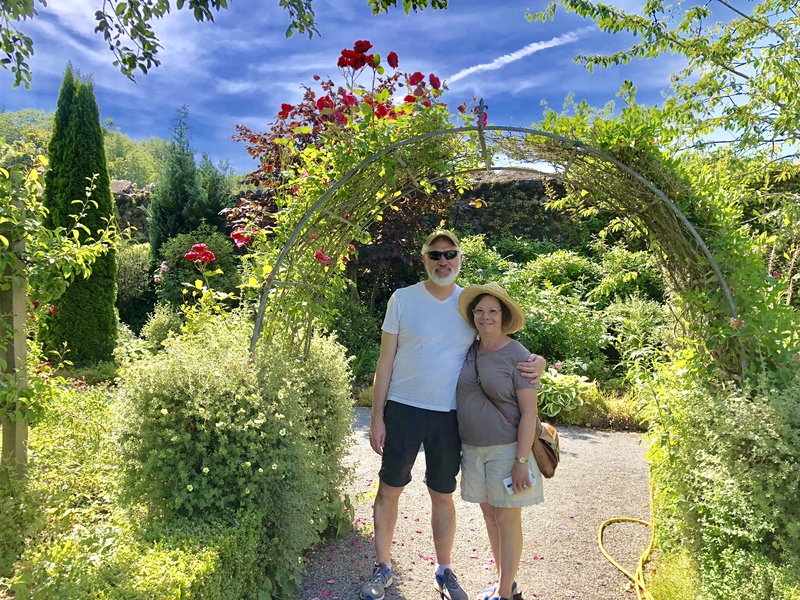 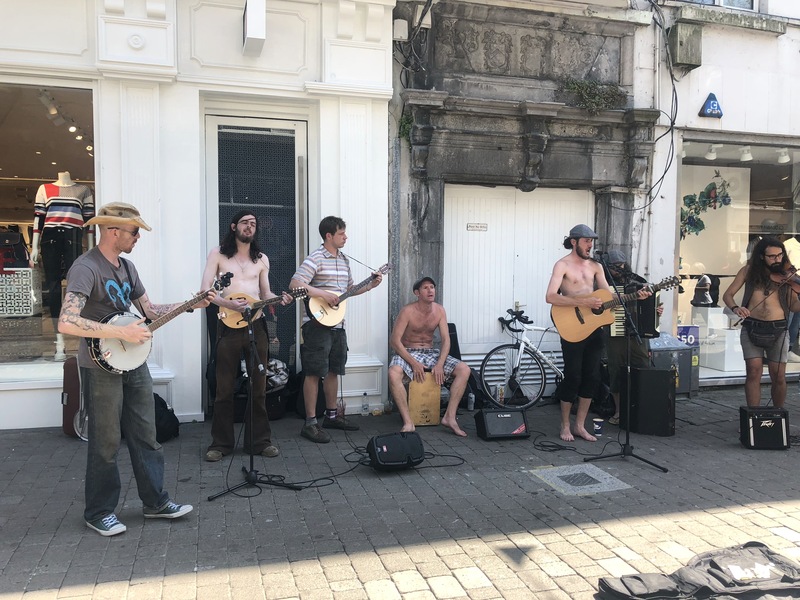 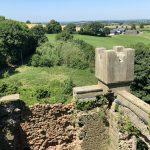 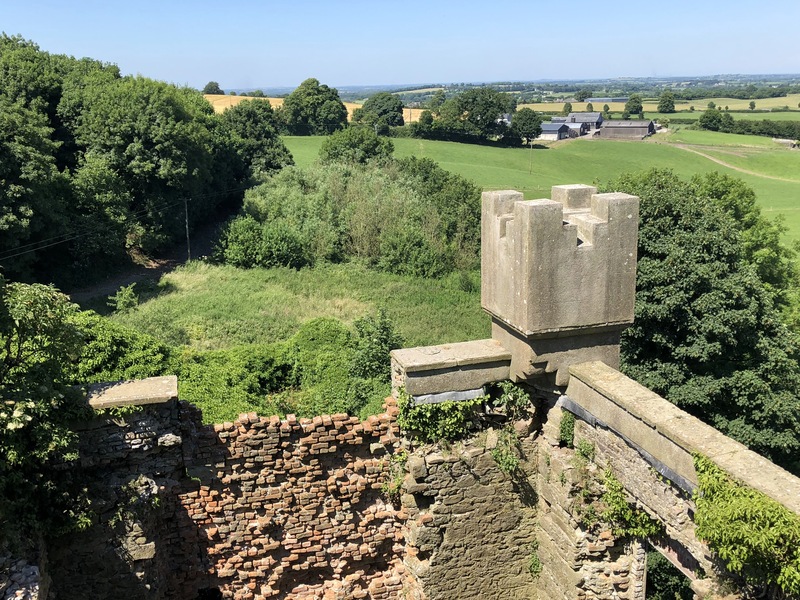 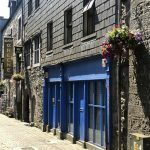 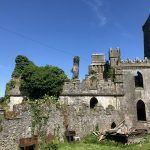 You will be given a personal tour by the eccentric owner Sean Ryan, whom with traditional Irish musicians, will relate to you the fascinating history of the castle and its part in founding the American Constitution. 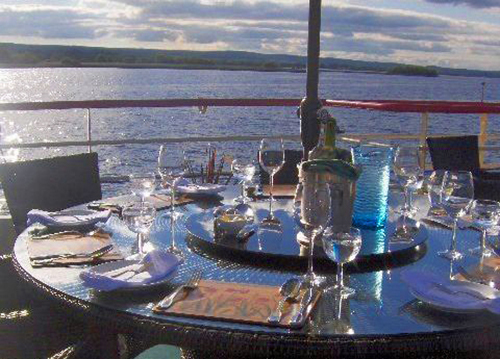 Dinner on board. 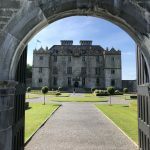 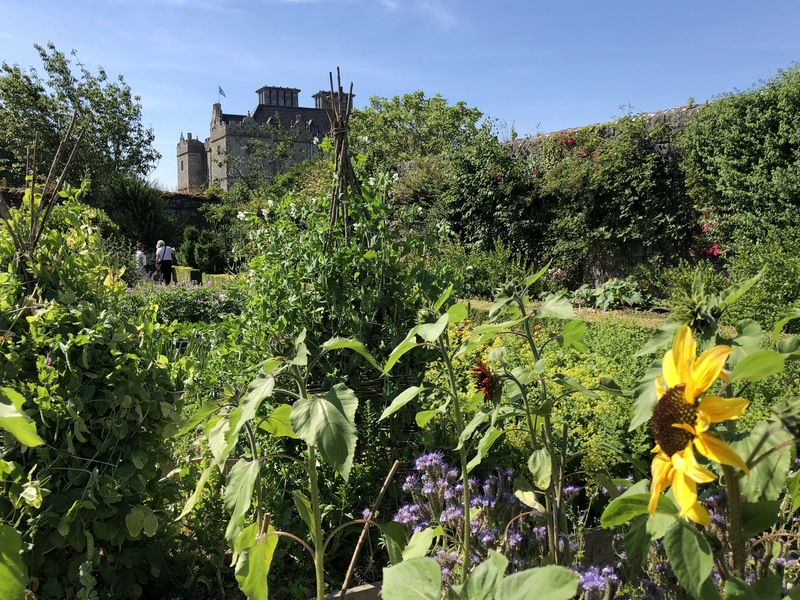 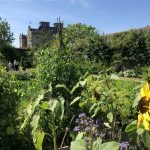 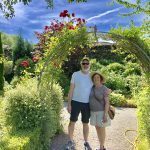 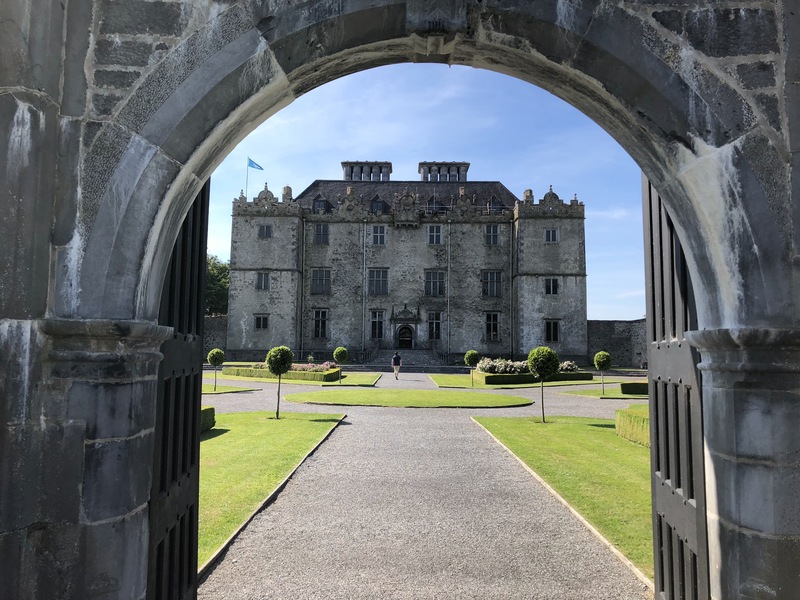 Today, our tour is firstly, to the walled gardens of Portumna Castle, then on to Galway, a lively University City and cultural centre for Irish-speaking regions in Western Ireland. 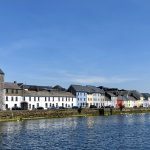 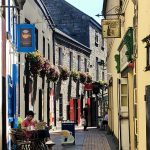 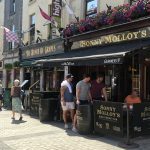 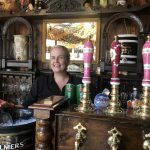 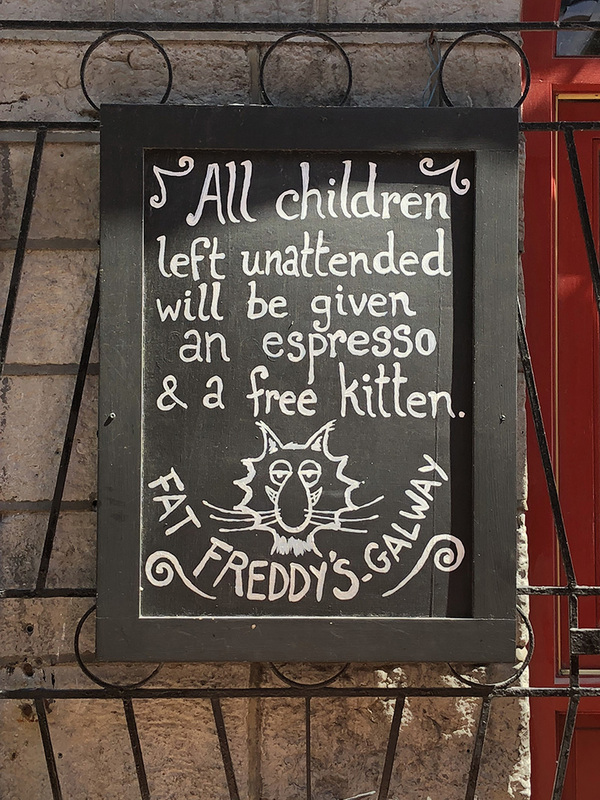 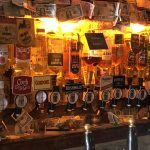 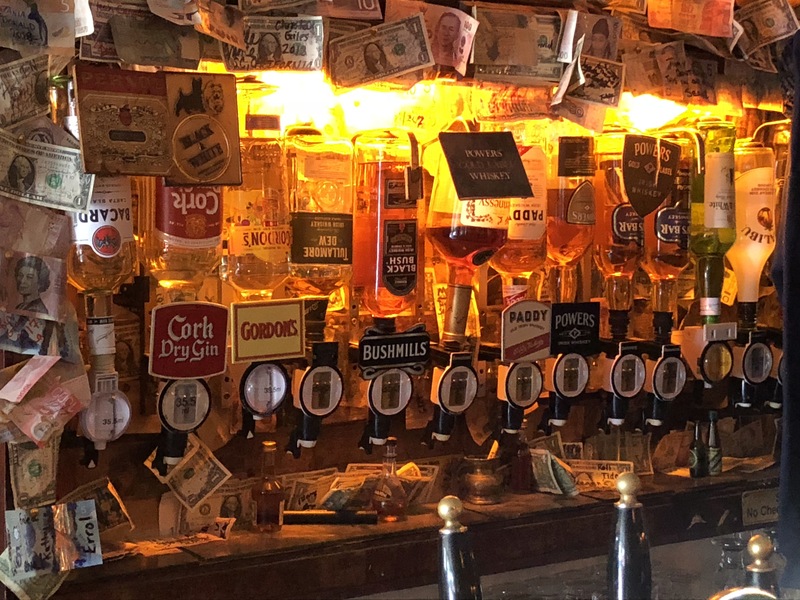 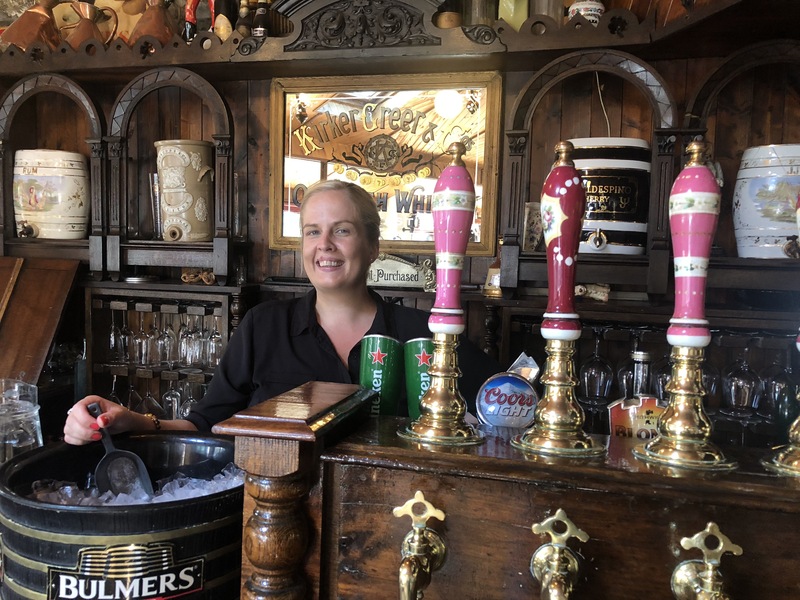 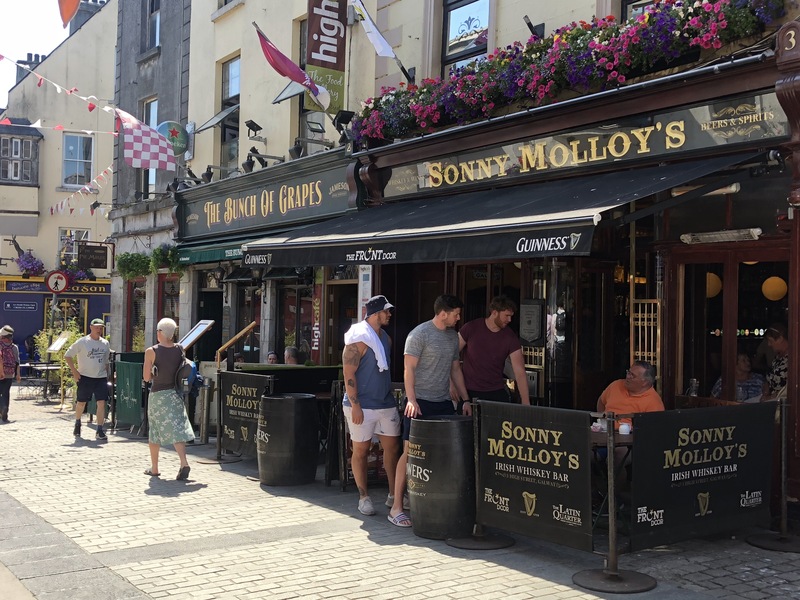 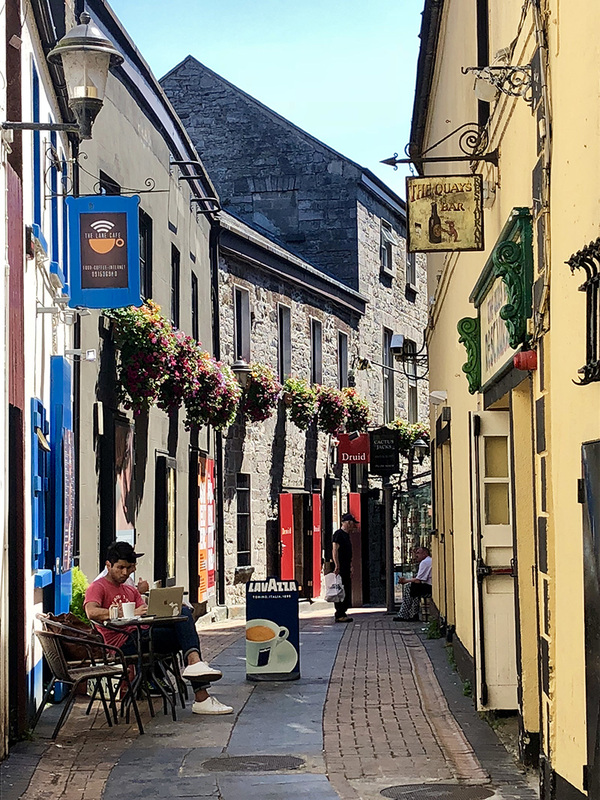 Visit the Galway crystal, craft and linen shops and then lunch at a traditional Guinness & Oyster pub. 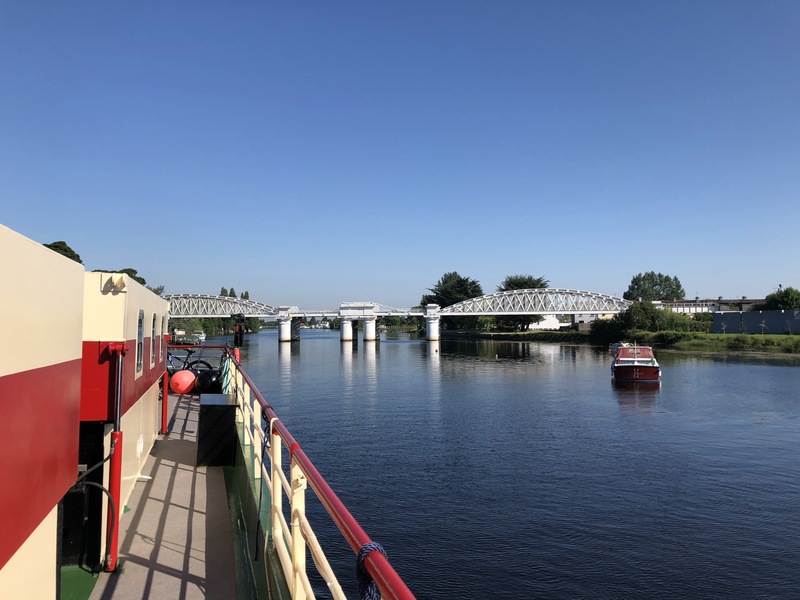 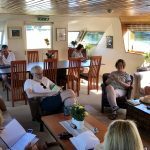 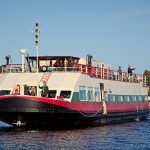 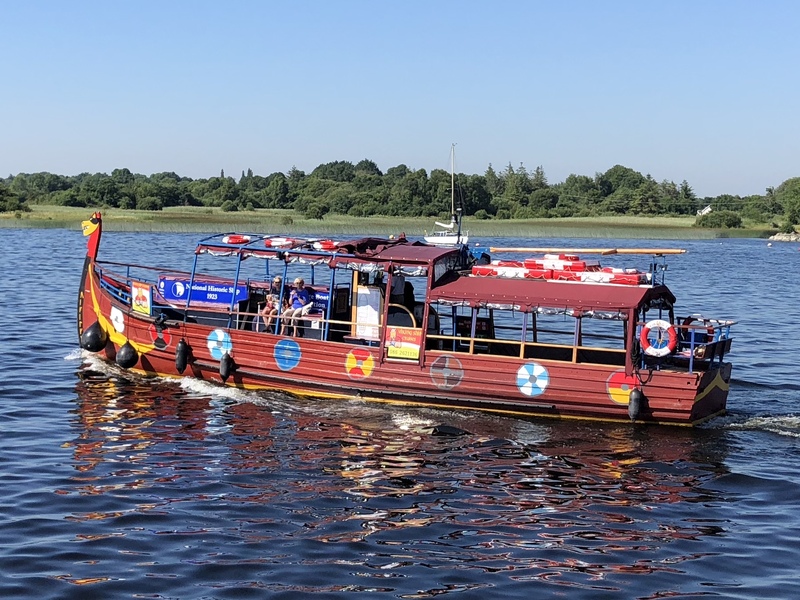 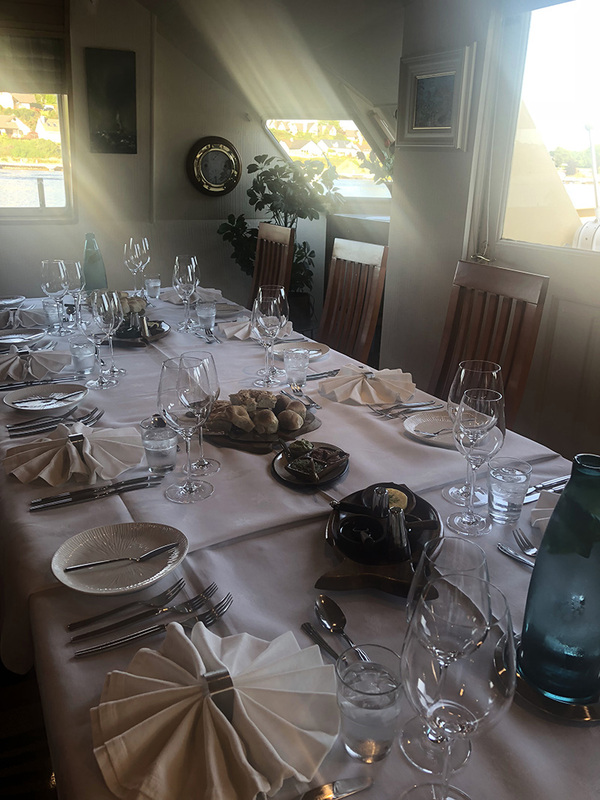 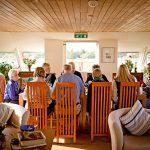 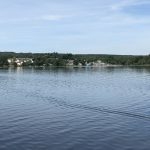 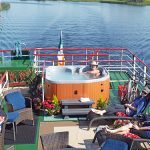 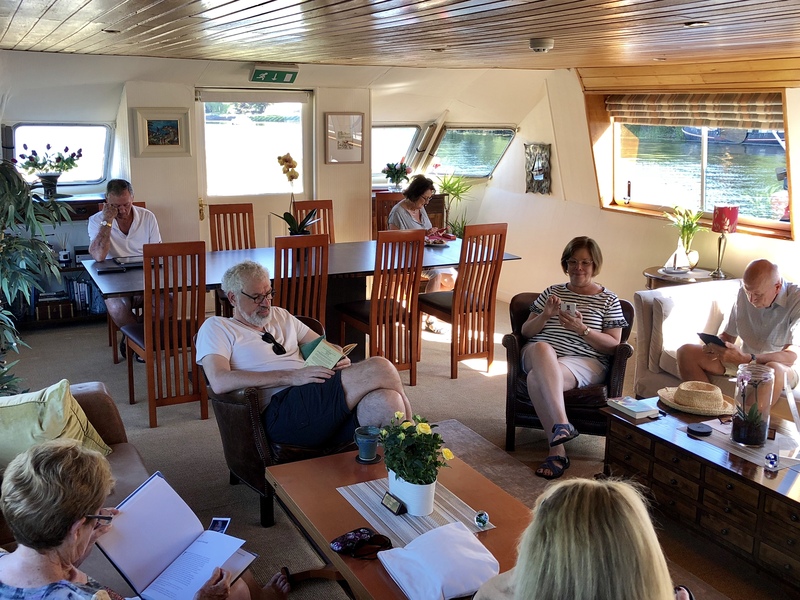 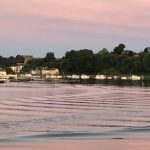 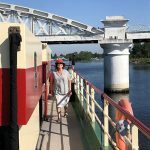 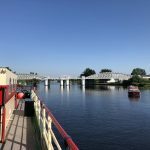 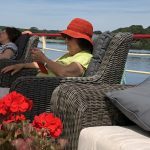 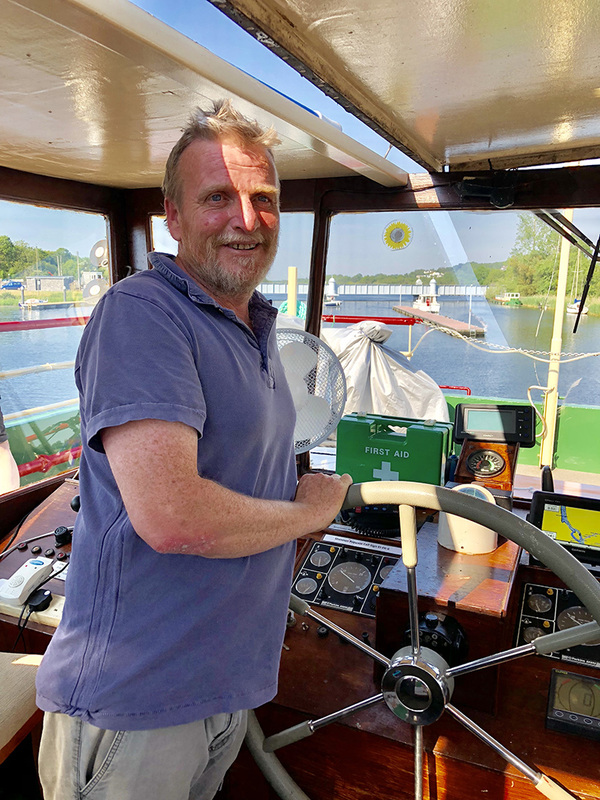 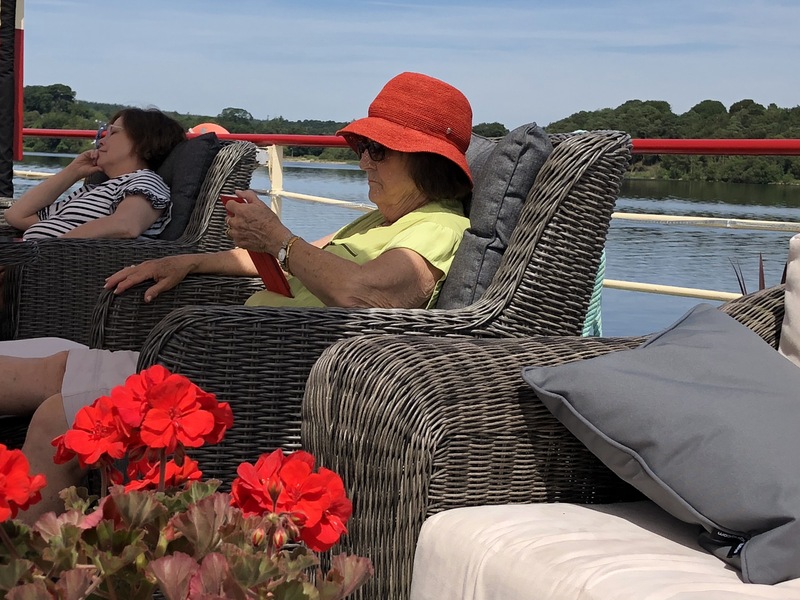 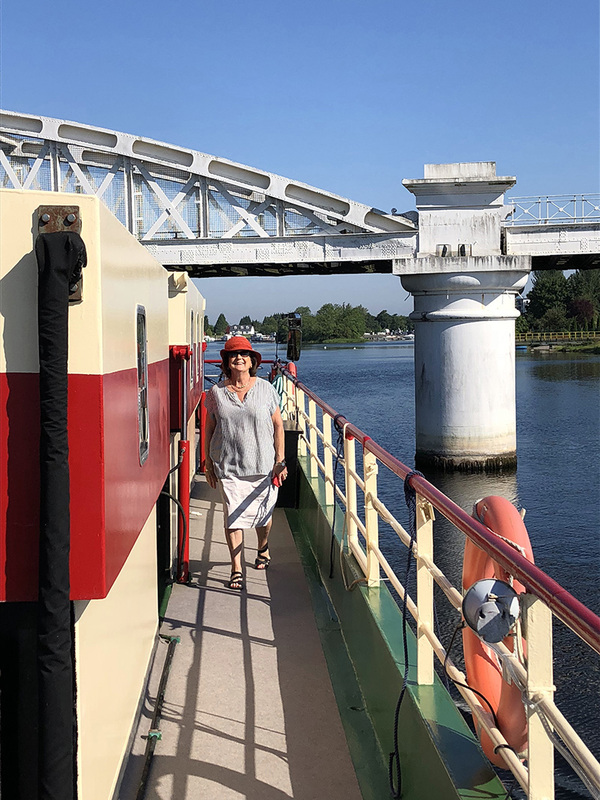 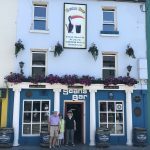 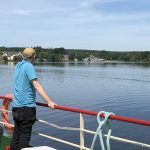 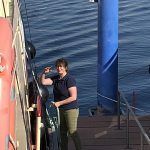 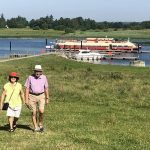 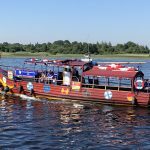 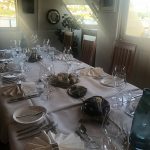 We return to Shannon Princess and enjoy an afternoon cruise, negotiating the Portumna swing bridge and Meelick lock along the way, as we enjoy our dinner and sunset cruise to arrive at Banagher on the County Offaly shoreline. 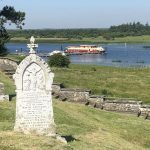 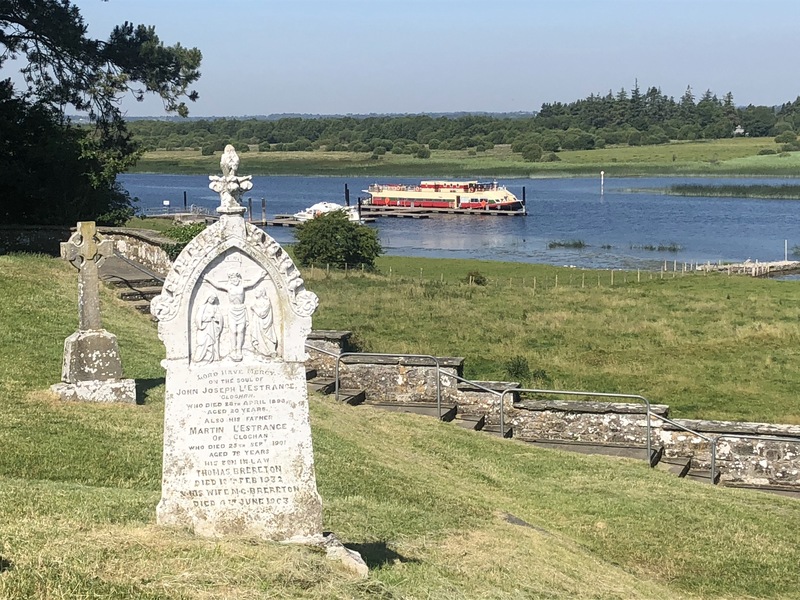 Our cruise today is towards the riverside town of Athlone, mooring en route at Clonmacnoise ruins, a famed 6th century university and early monastic settlement. 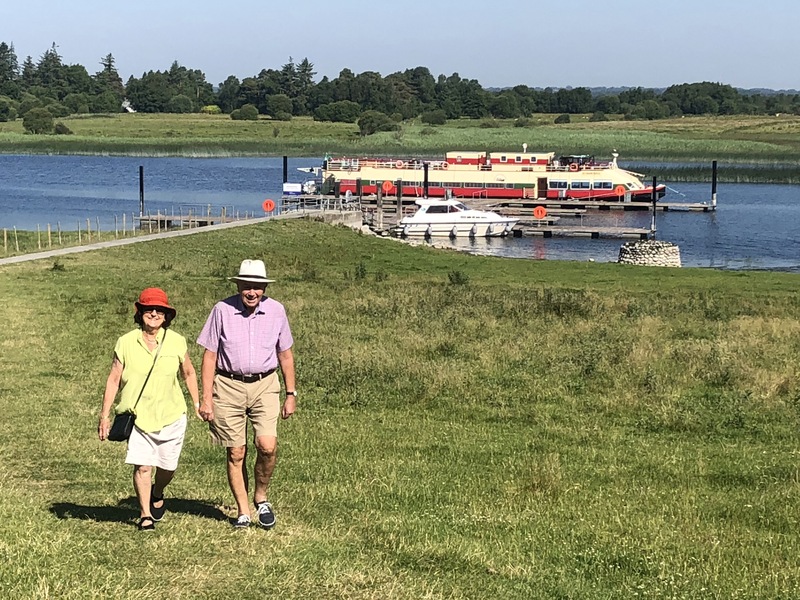 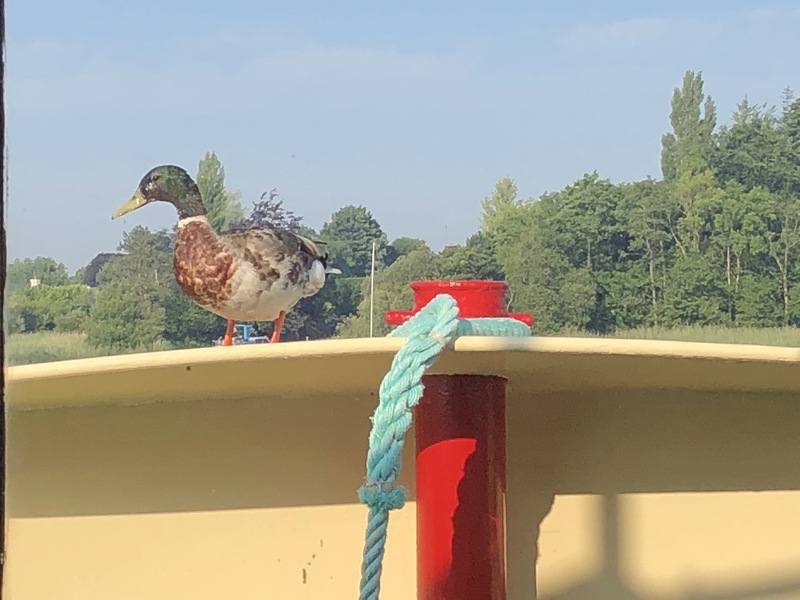 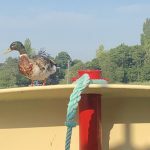 Following a tour, we continue our cruise north through Europe’s richest example of “Callow” landscape, countryside little changed in over 1,000 years and one of Ireland’s premier wildfowl reserves, to arrive in Athlone. 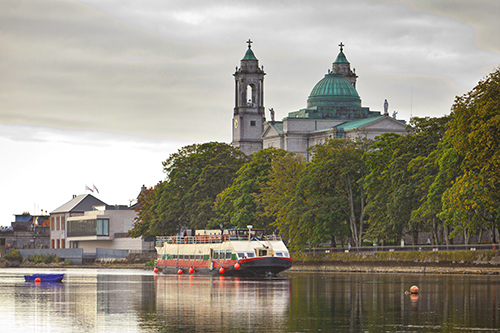 Time to explore the town at your leisure. 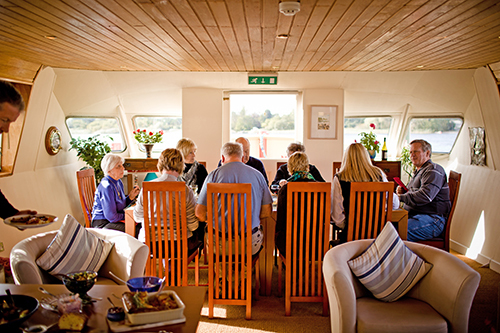 Dinner on board. 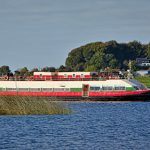 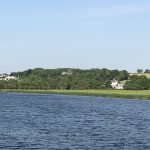 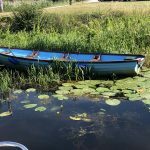 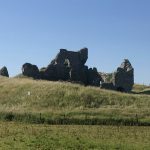 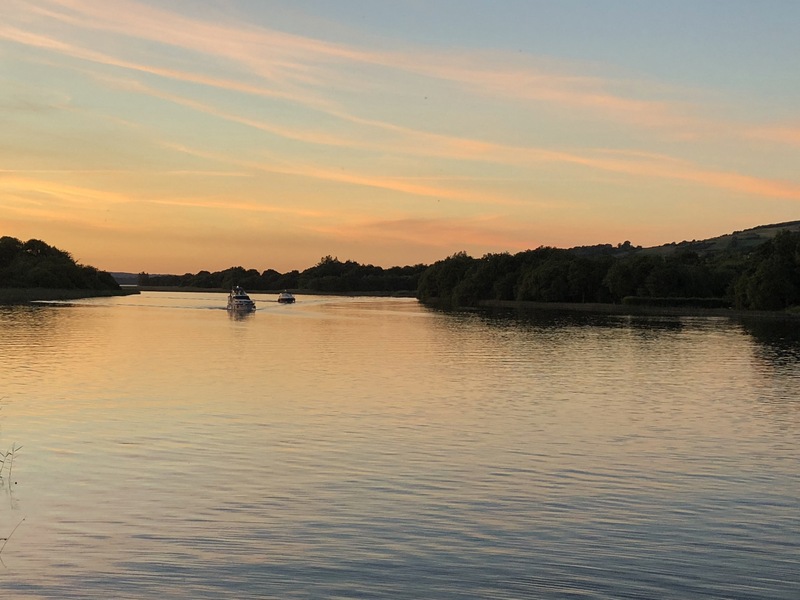 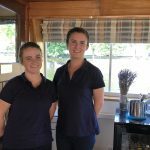 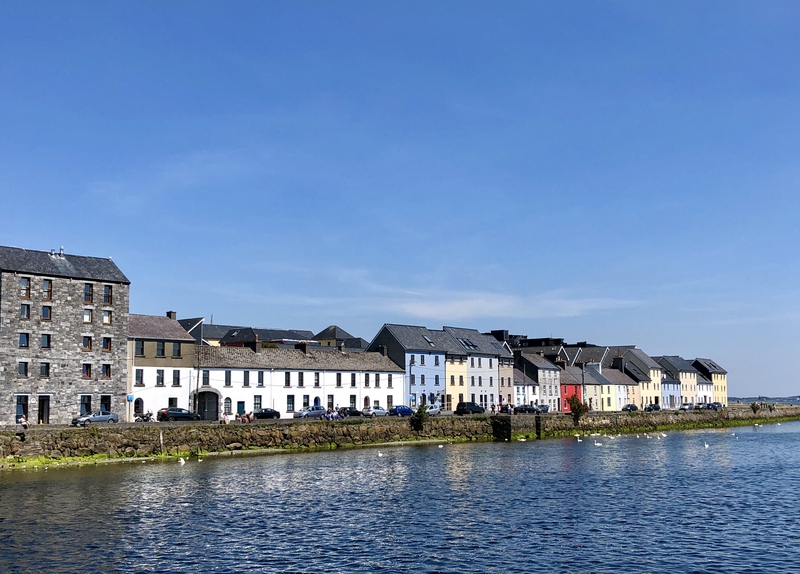 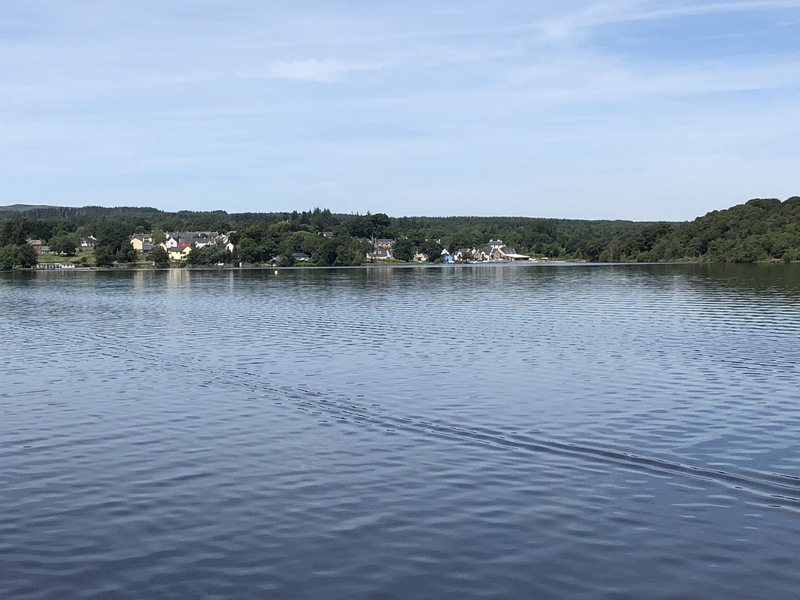 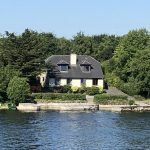 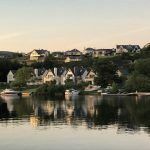 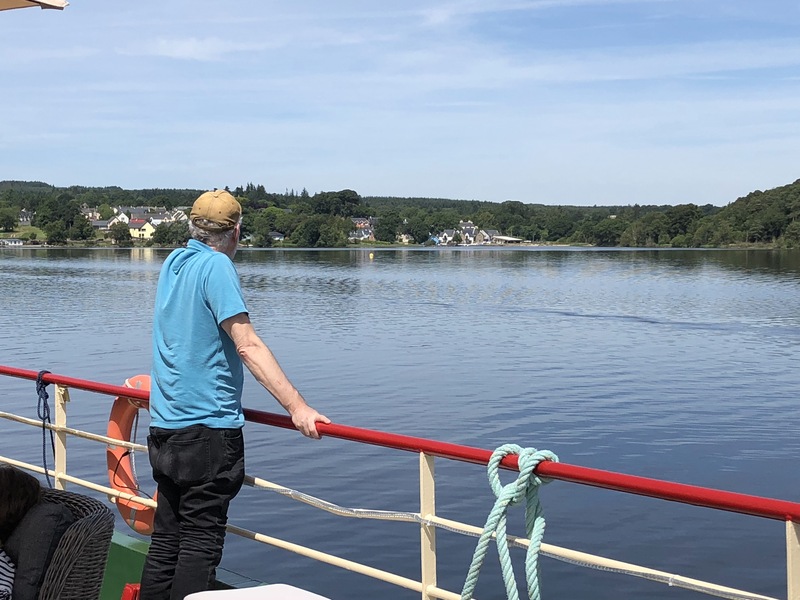 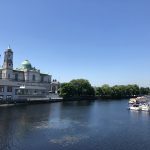 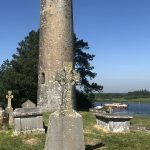 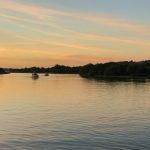 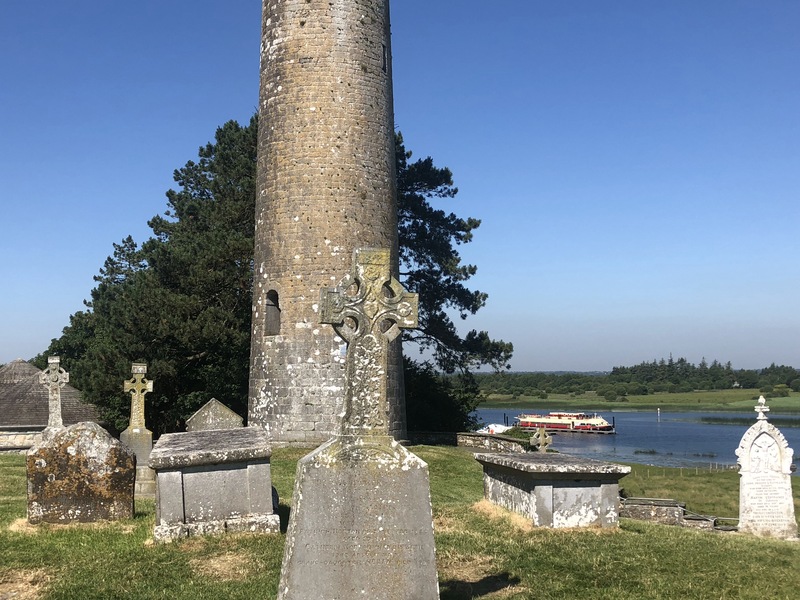 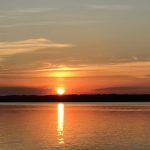 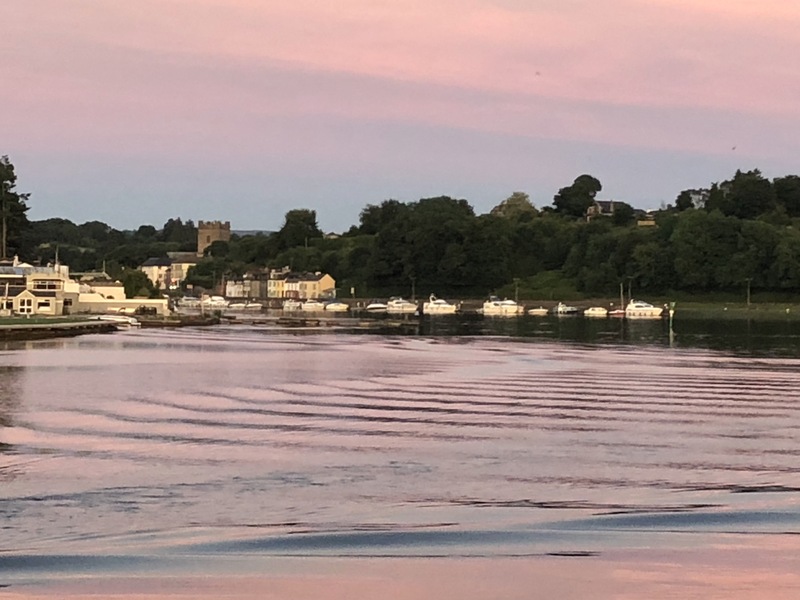 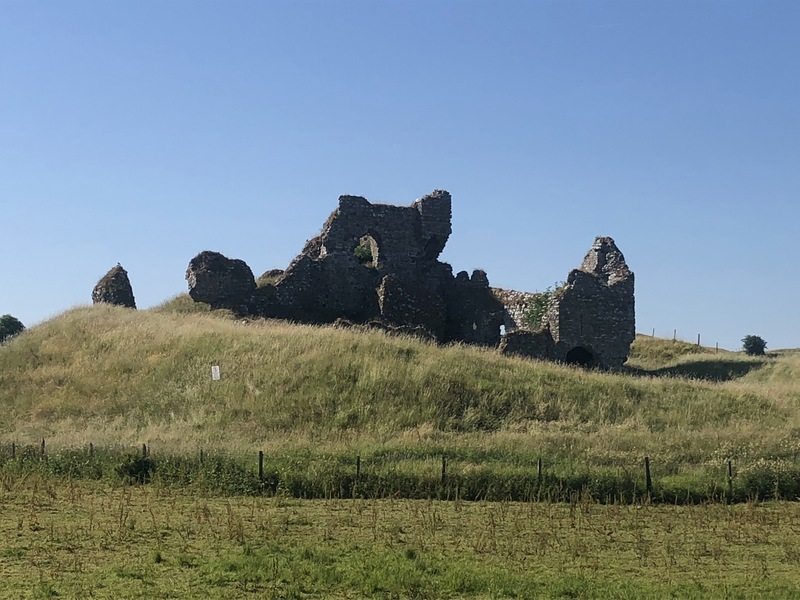 Our final cruise to Glasson is northwards around the beautiful “Inner Lakes” of Lough Ree and we explore some of the 365 islands on the lake. 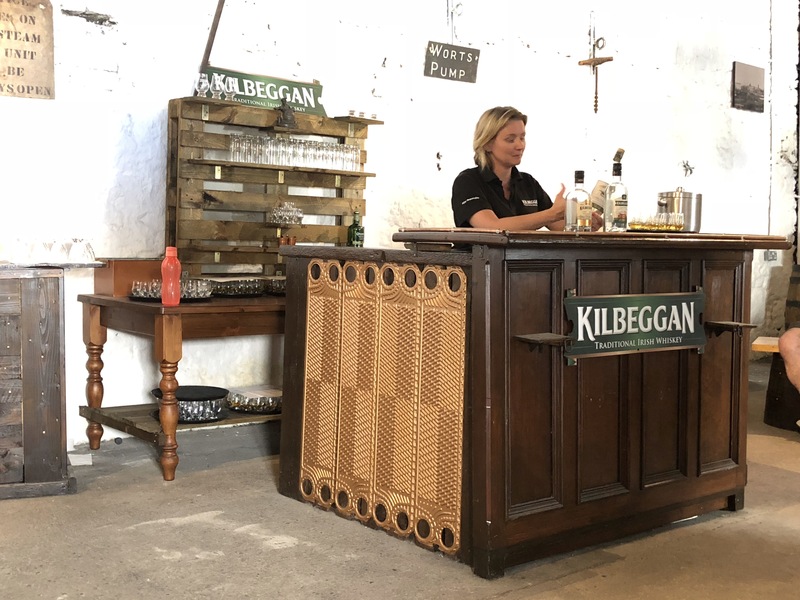 After lunch, we visit the Kilbeggan whiskey distillery, dating from 1757 and the oldest licensed whiskey distillery in Ireland, for a tour and, of course, a tasting. 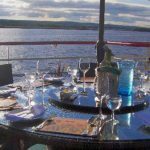 ‘Salinte’ cocktail reception and Captain’s Farewell Dinner on board. 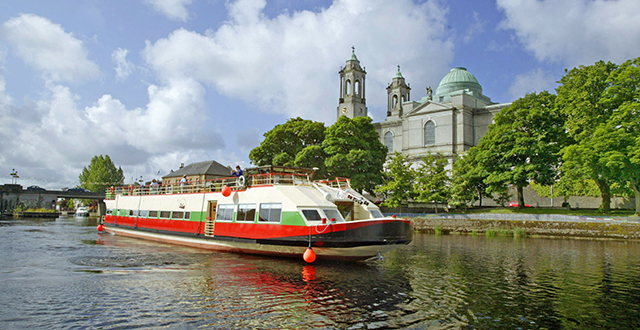 Inclusions: Local transfers between Dublin and the hotel barge (the approximate transfer duration is 2hrs / 2hrs 30mins depending on the cruise direction), a luxury 6 night cruise, all meals on board catered for by the on board Master Chef, an open bar 24/7 with a large range of alcoholic and non alcoholic drinks, all wines served throughout the cruise, excursions and admittance fees as per the itinerary, the services of 5 crew and use of barge facilities, which include wireless internet access, spa-pool and bicycles on request. 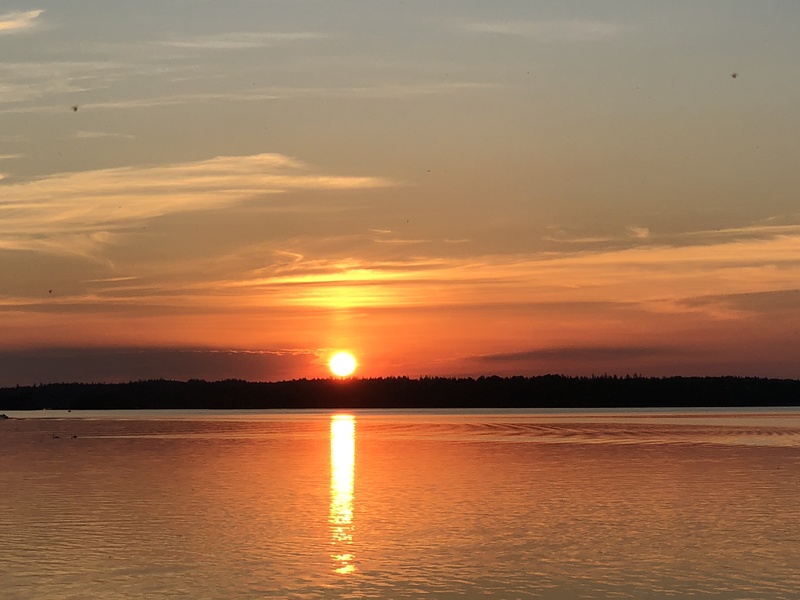 Please click on a thumbnail photo to launch the slide show. 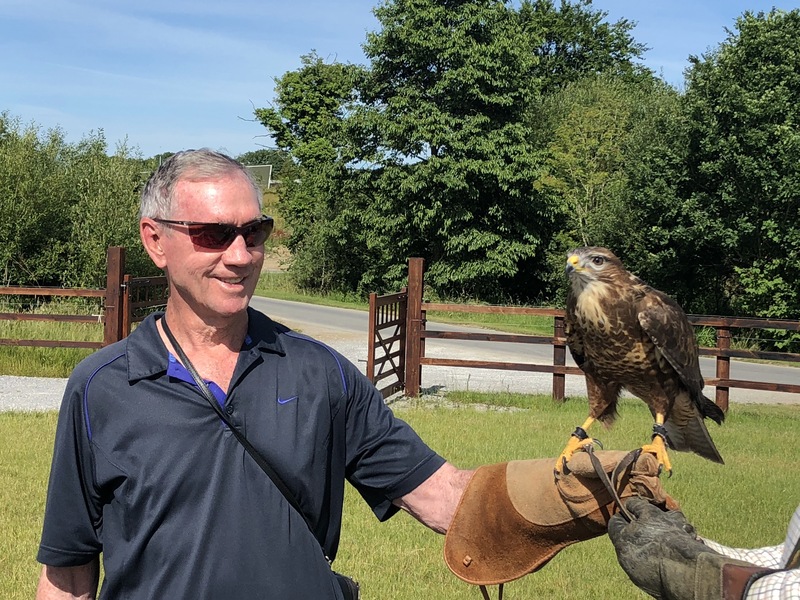 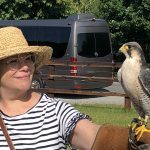 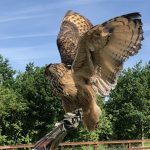 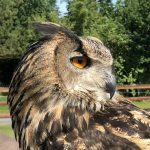 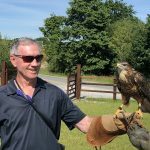 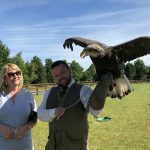 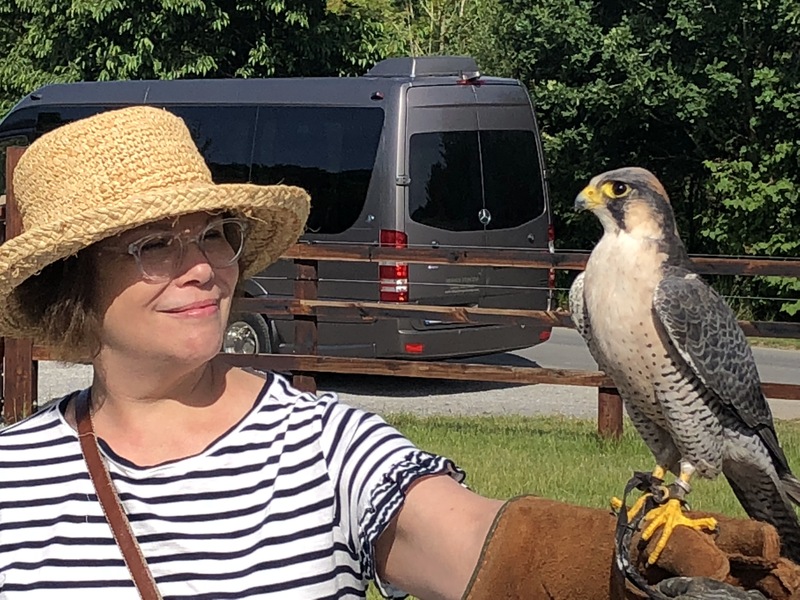 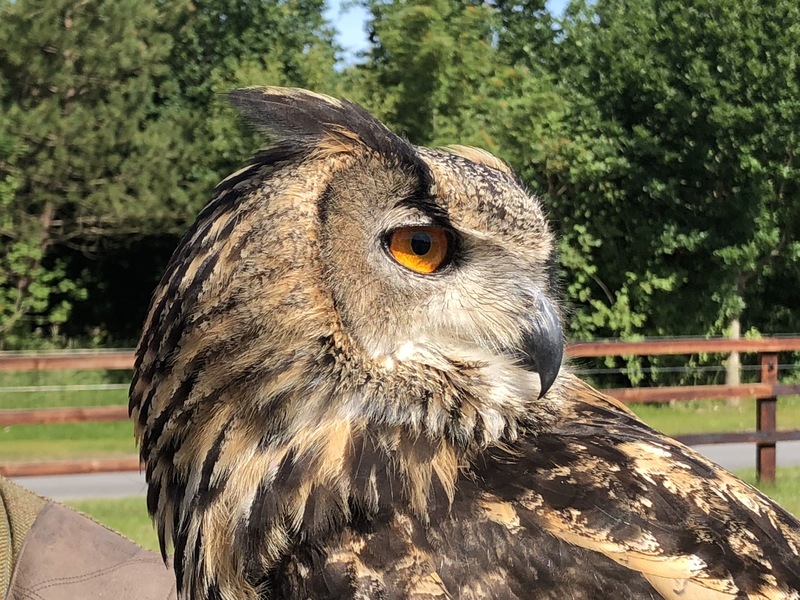 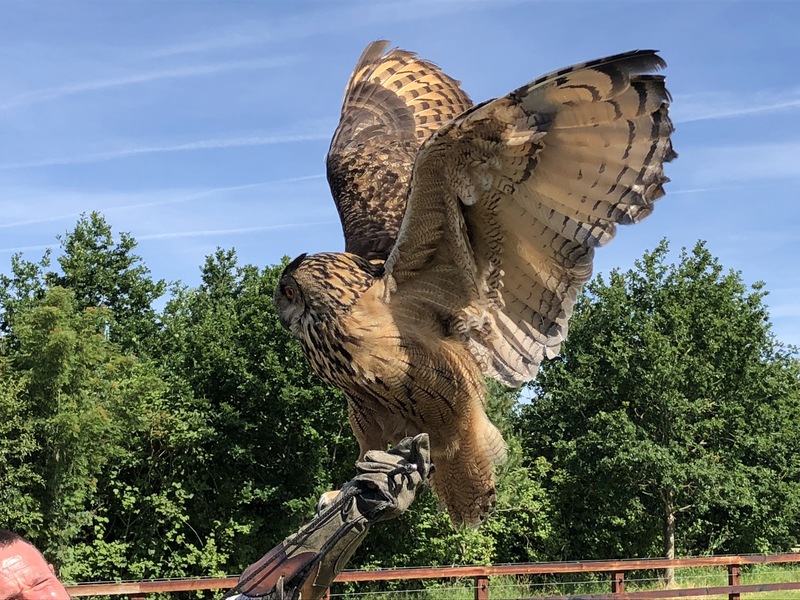 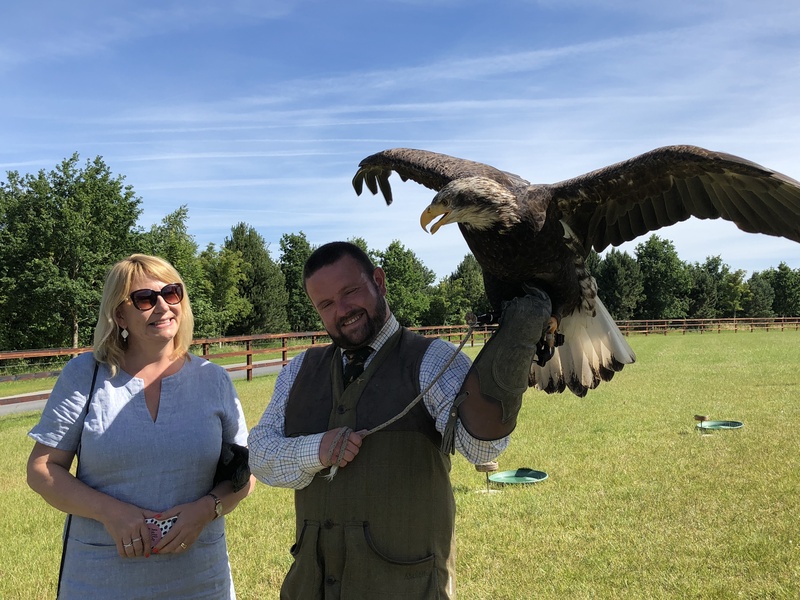 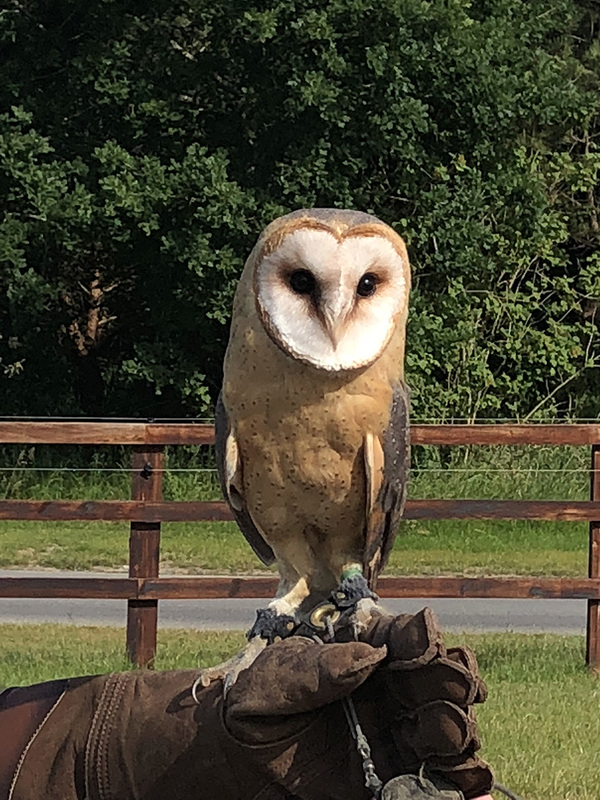 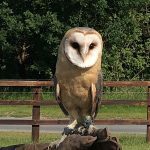 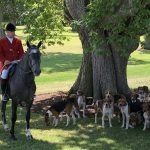 Birds of Prey at Ardare Manor – amazing! 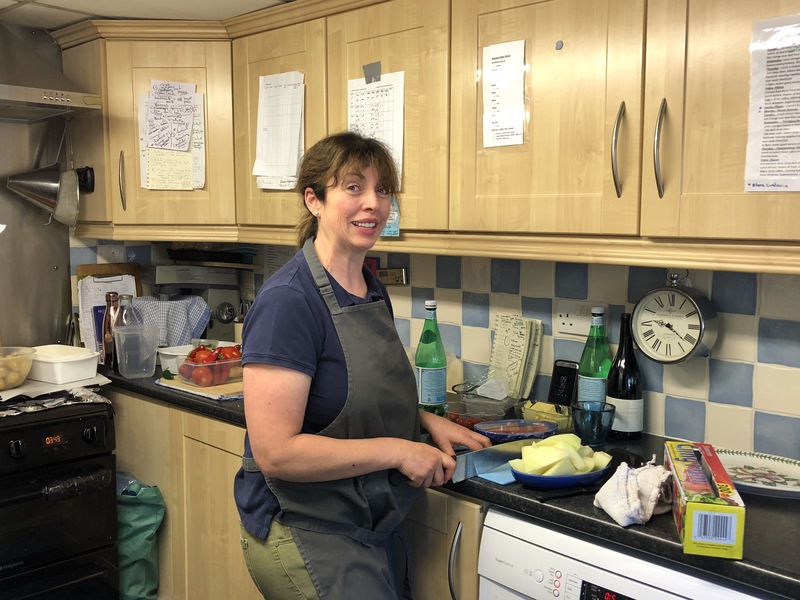 Olivia is not only a great chef – she swings the ropes too! 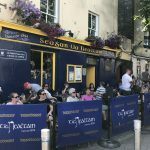 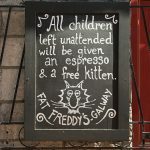 Irish pubs are the best in the world! 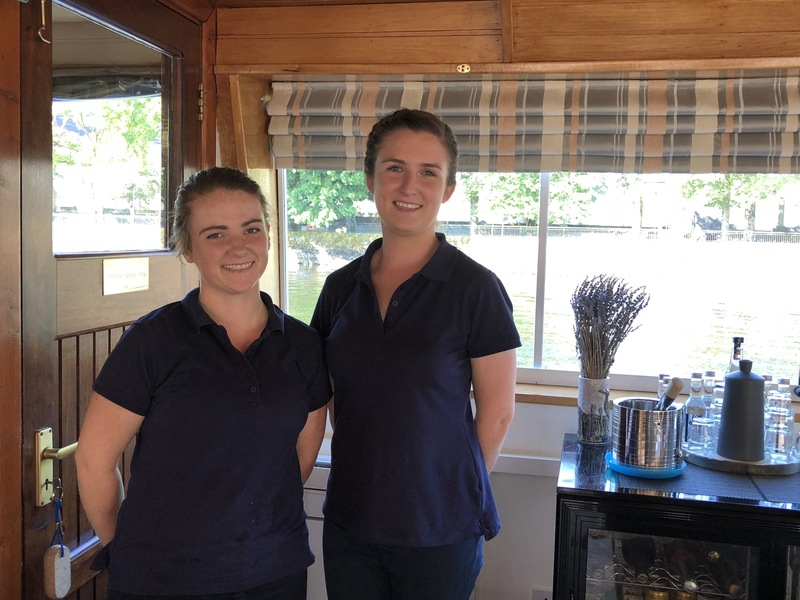 Our beautiful and hard working hostesses!